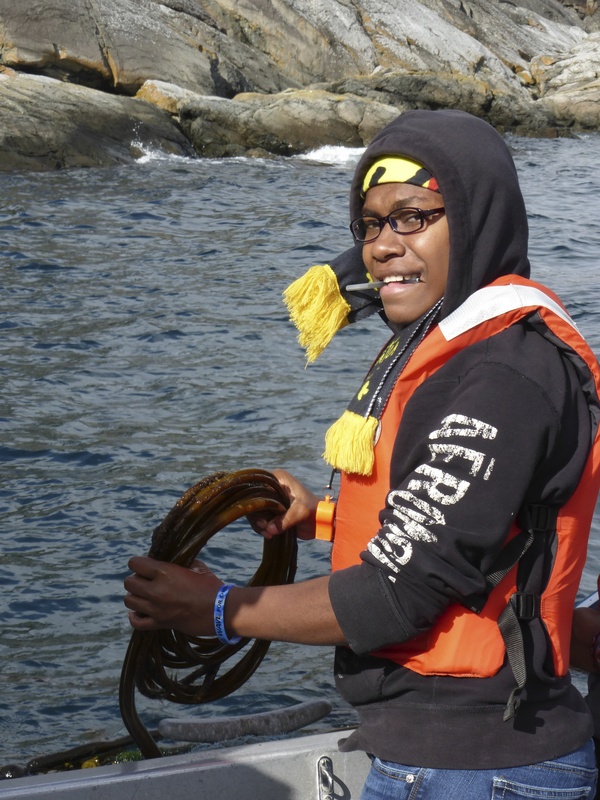 During the first year field exam at Race Rocks on Friday 12 May (post to follow…), there were 11 northern elephant seals (Mirounga angustirostris) that provided both entertainment and answers to the students writing the exam. 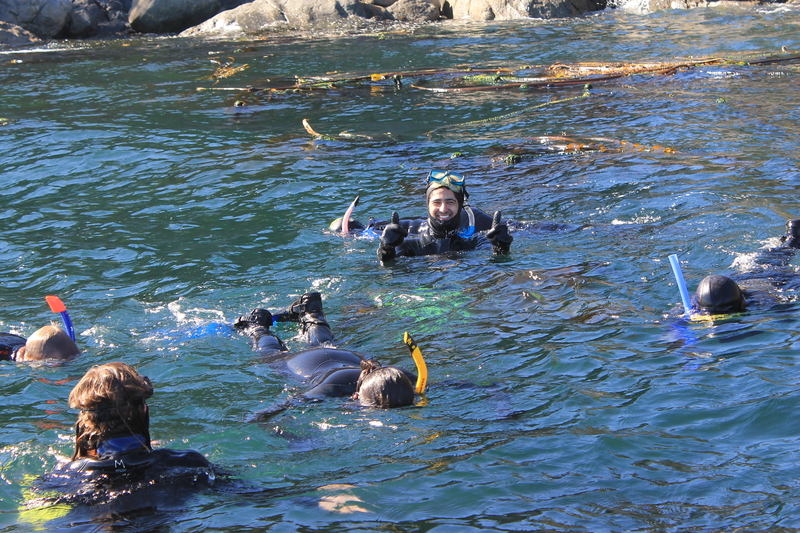 One of the questions on the field exam involved observing elephant seals and the seals seemed happy to oblige. 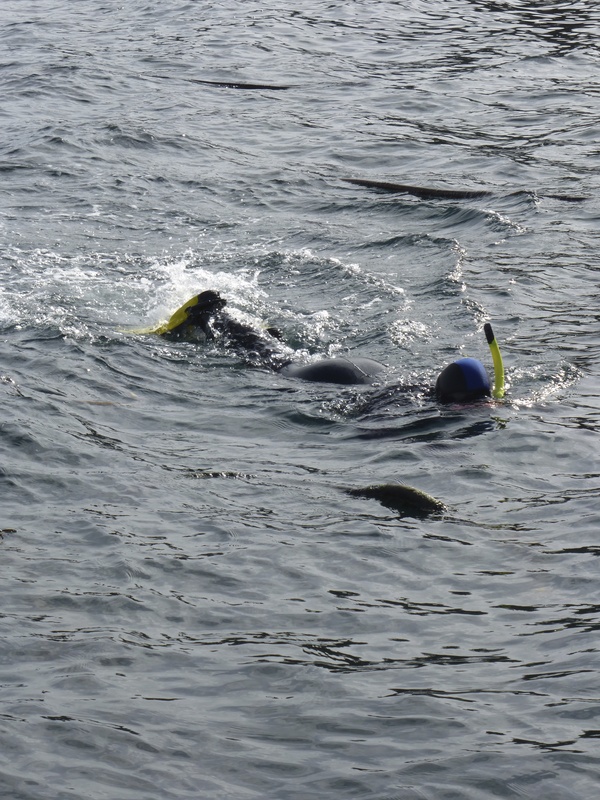 Over the course of the morning, many of the elephant seals made their way to the water. 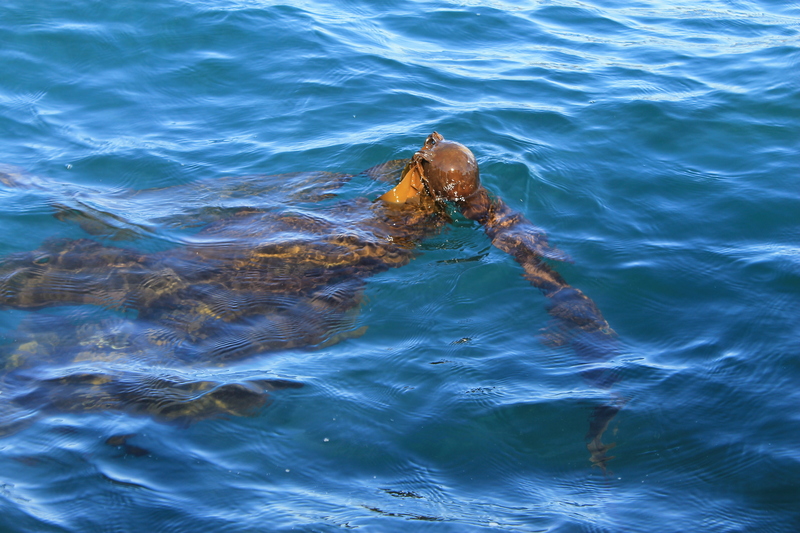 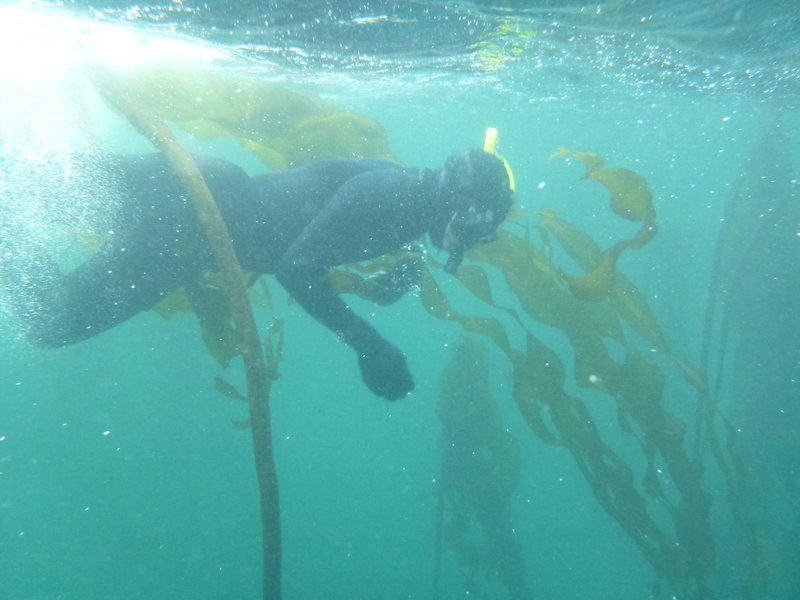 Once in the water, one elephant seal was frolicking in the bull kelp and blowing bubbles. 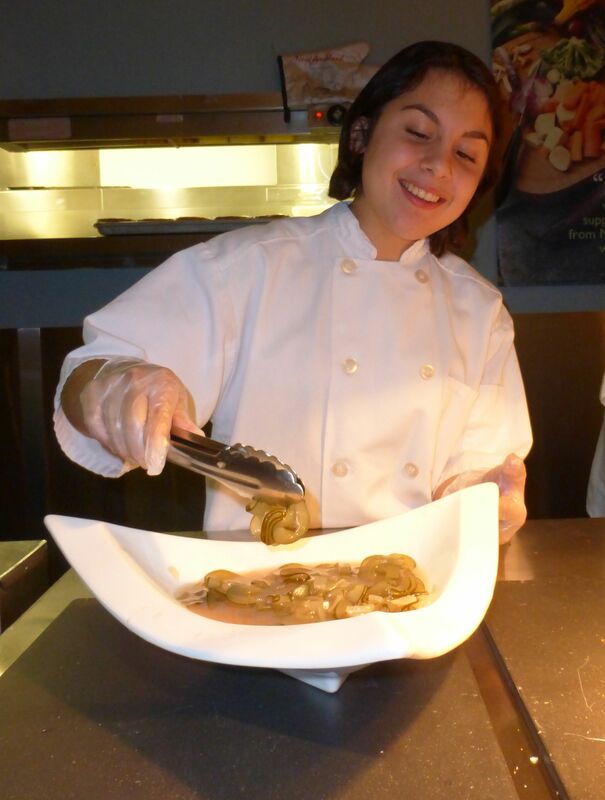 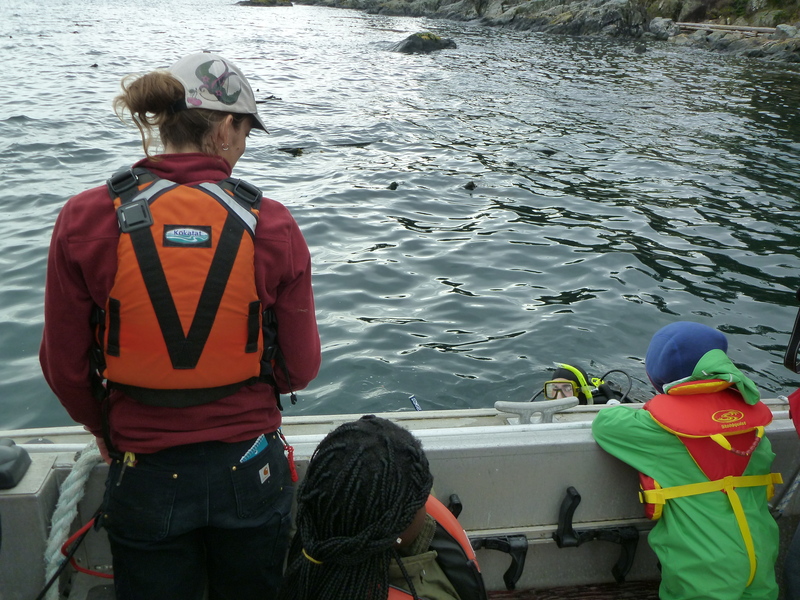 On Friday evening, Yam served and shared the bull kelp pickles that she and Noemi had prepared about 4 weeks earlier using bull kelp that we collected on one of the kelp forest field trips. 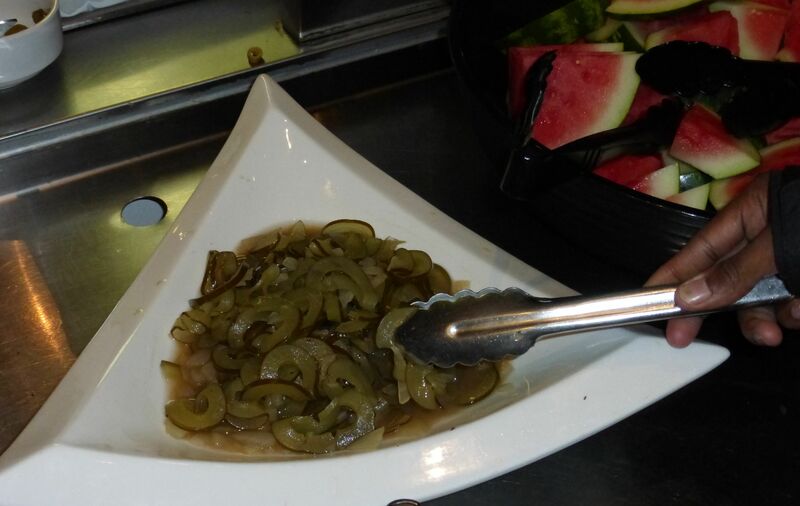 The recipe they used can be found here. 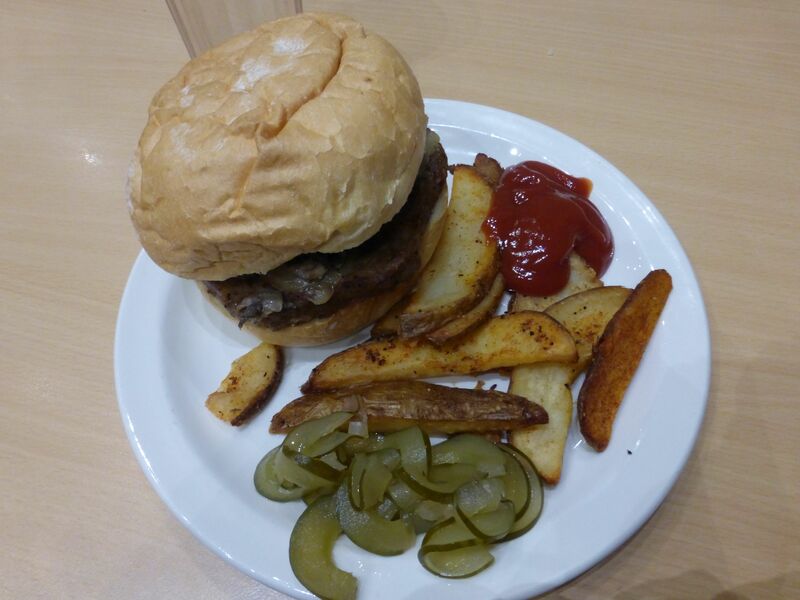 It was burgers for dinner and the delicious bull kelp pickles really complimented the meal. 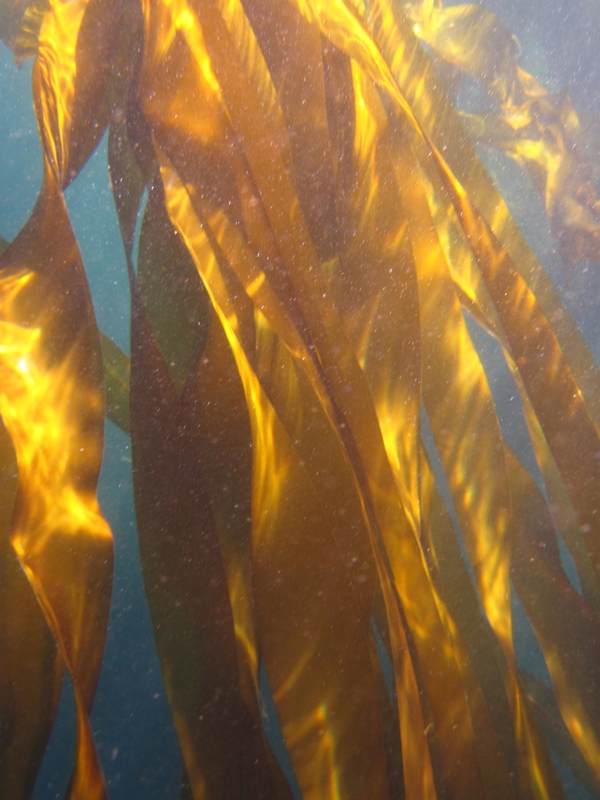 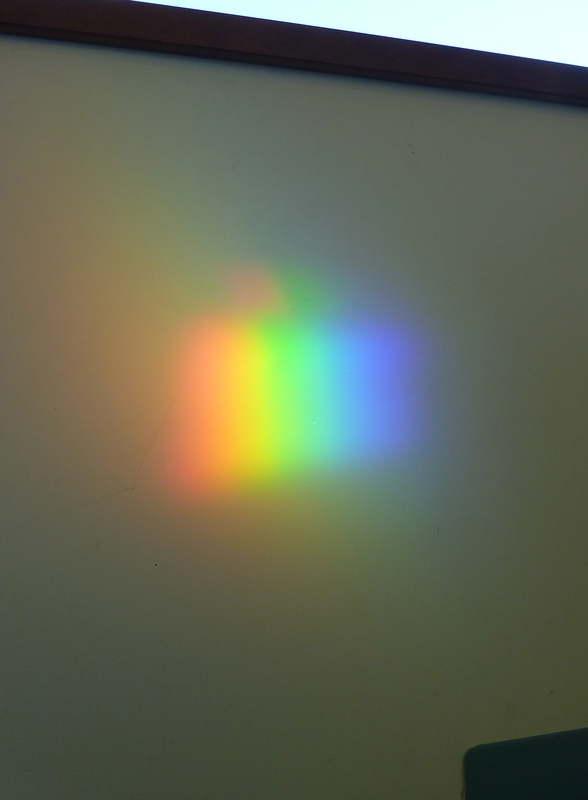 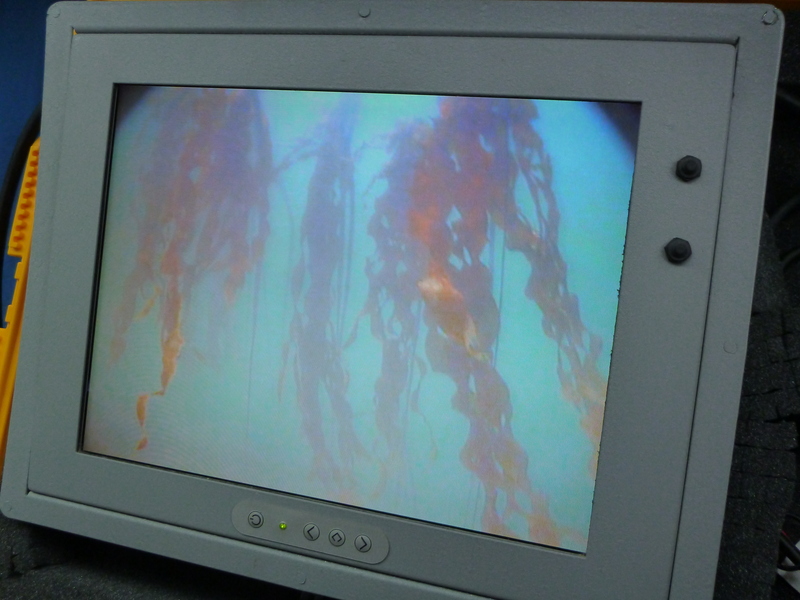 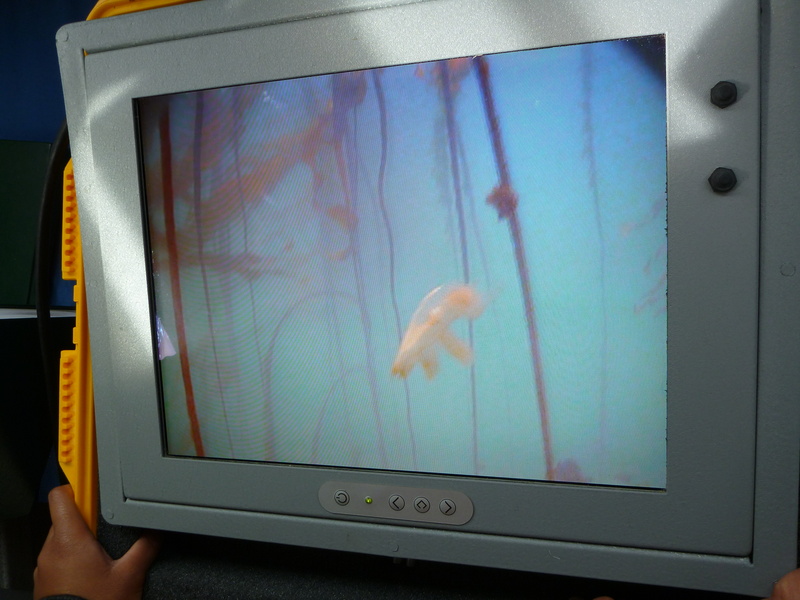 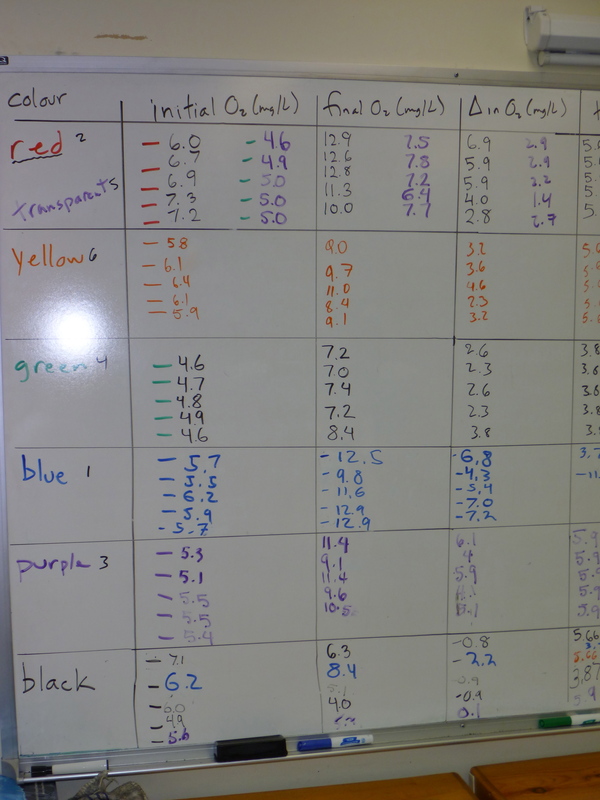 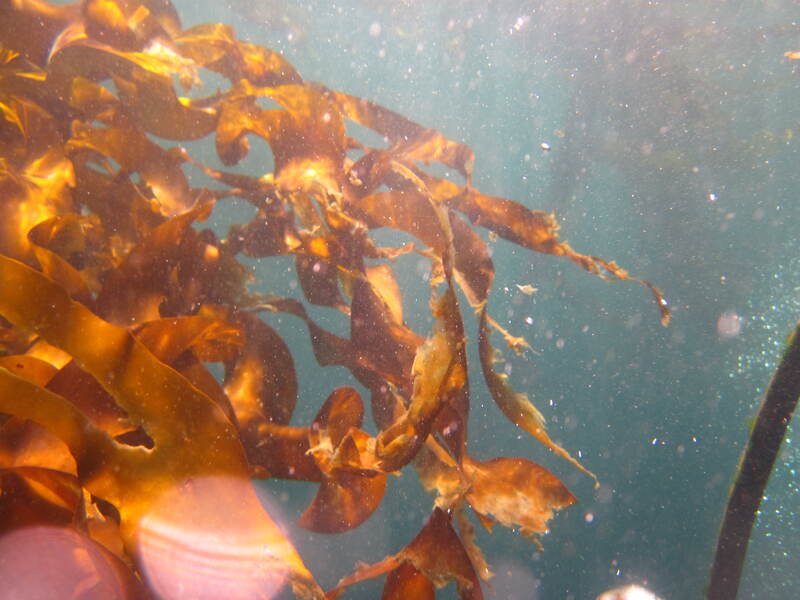 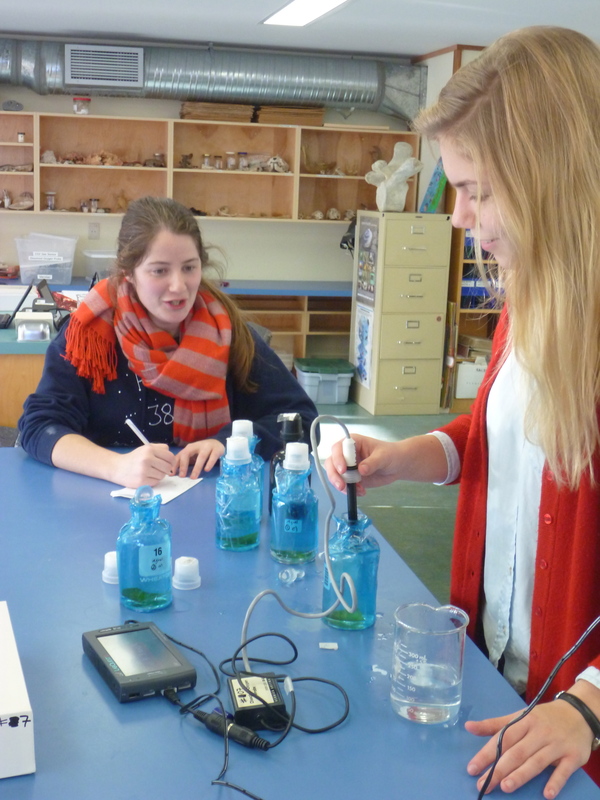 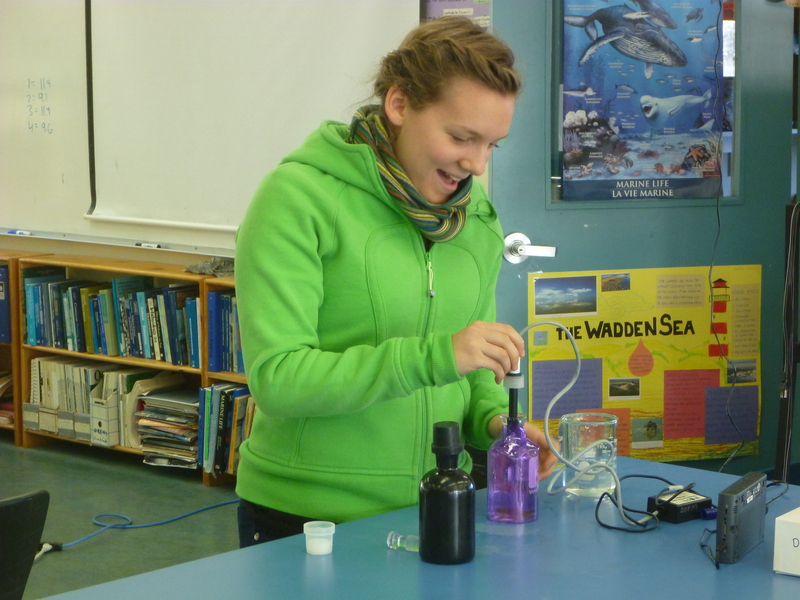 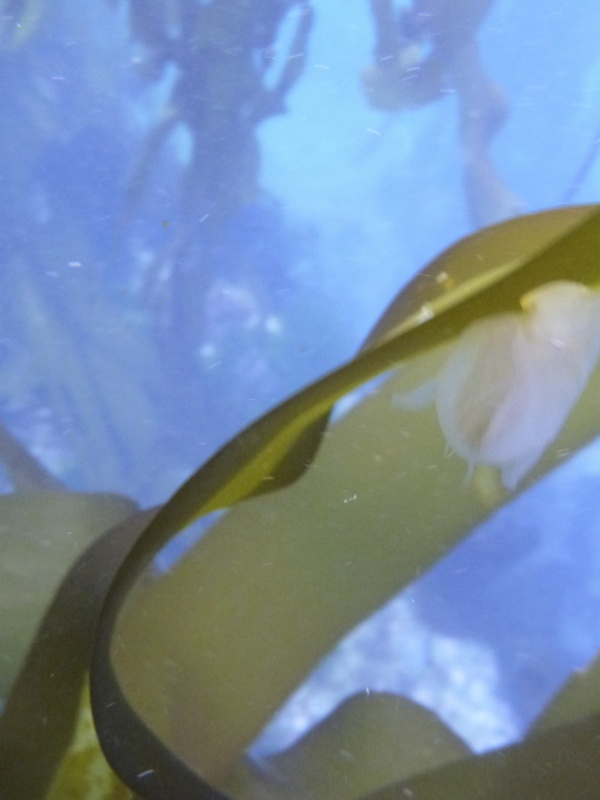 Second year Marine Science students in C block chose to investigate the effect of colour of light on primary productivity in bull kelp (Nereocystis luetkeana). 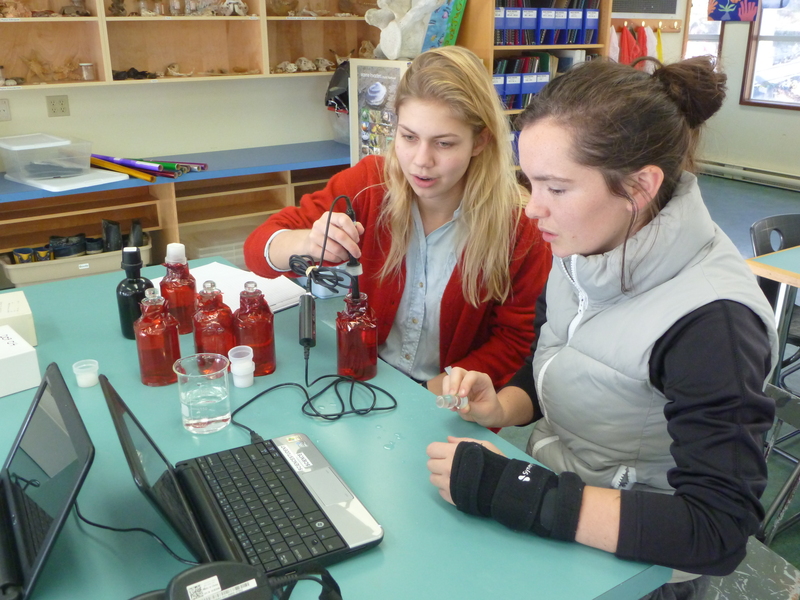 After wrapping five BOD bottles in each of five colours of cellophane plus five bottles in transparent cellophane and including five black bottles, students filled BOD bottles with seawater and one piece (4 cm x 4 cm) of bull kelp. 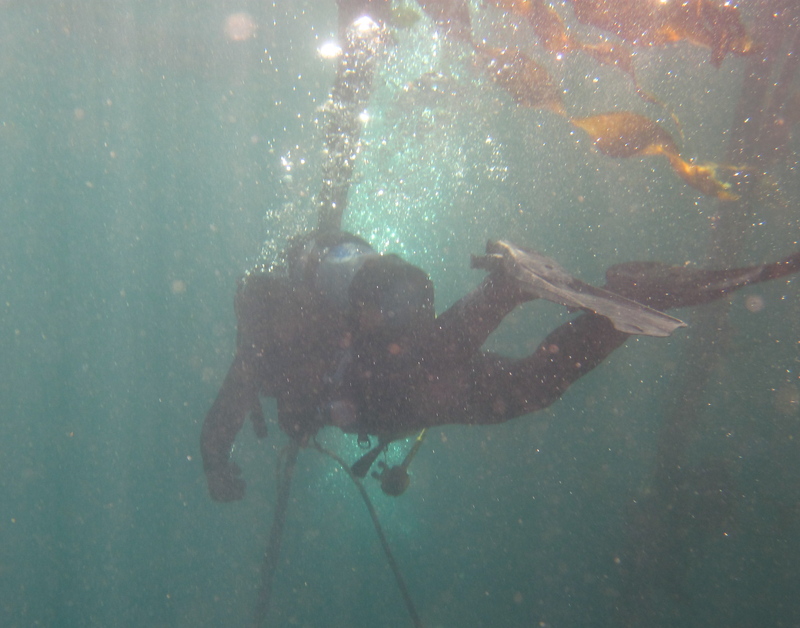 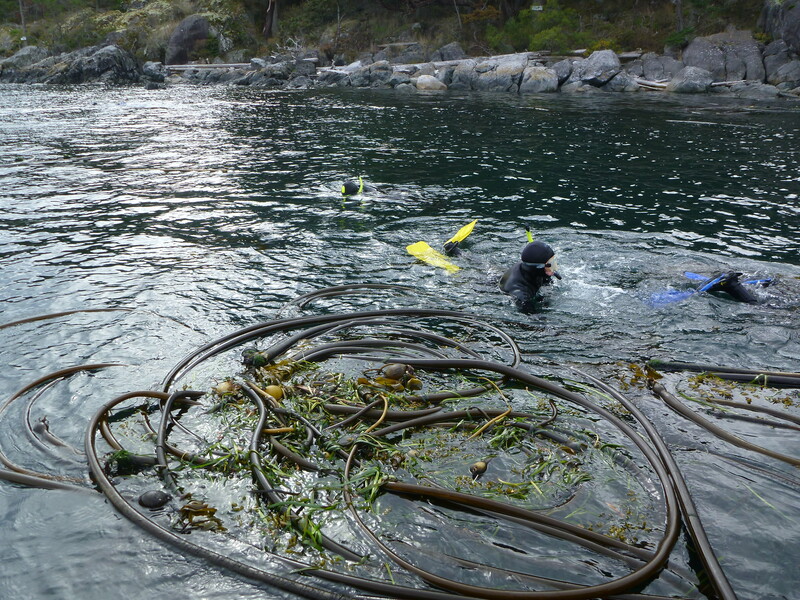 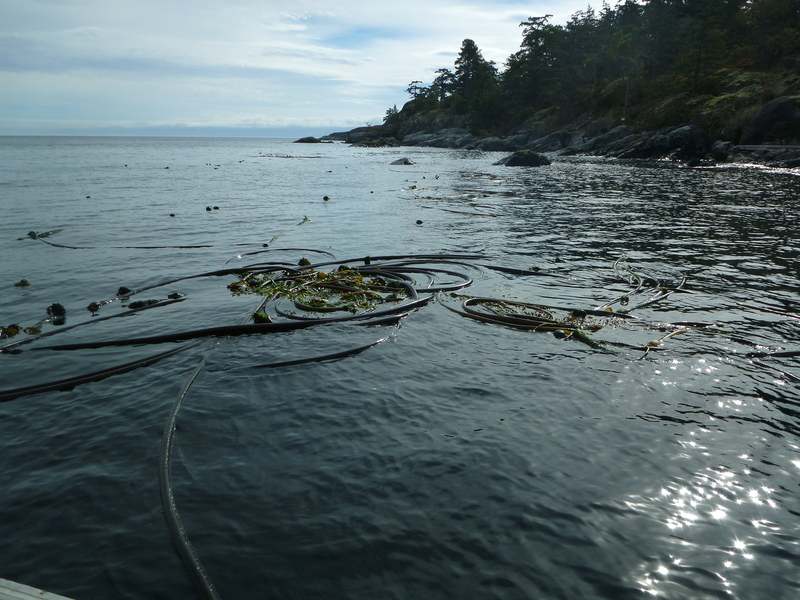 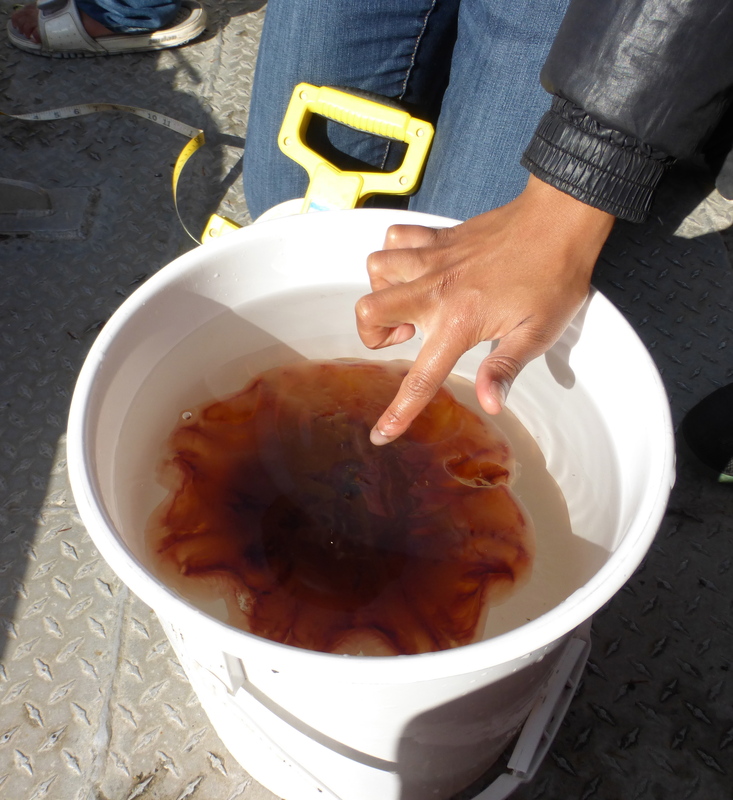 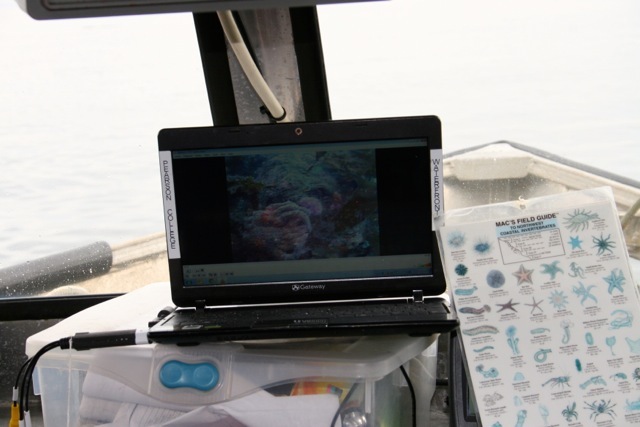 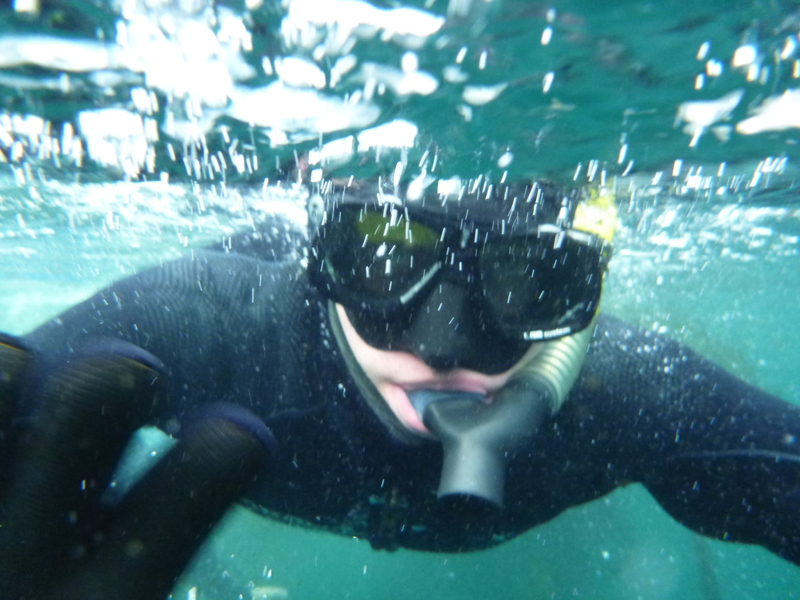 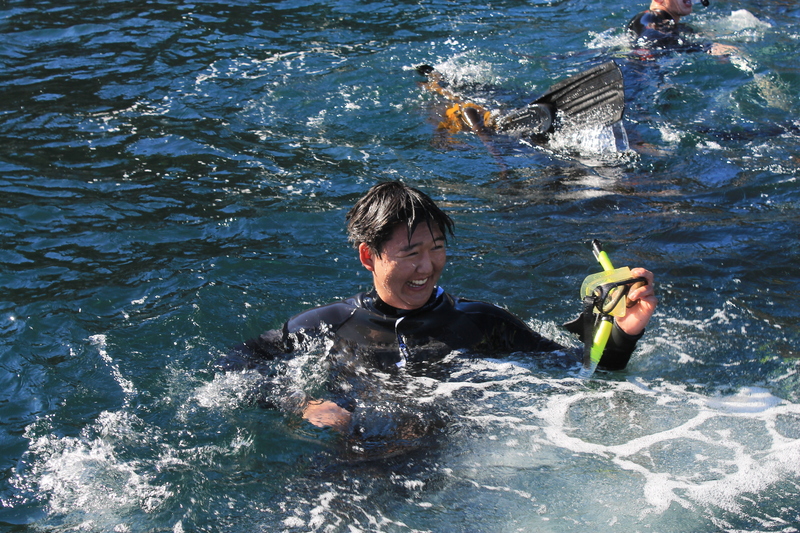 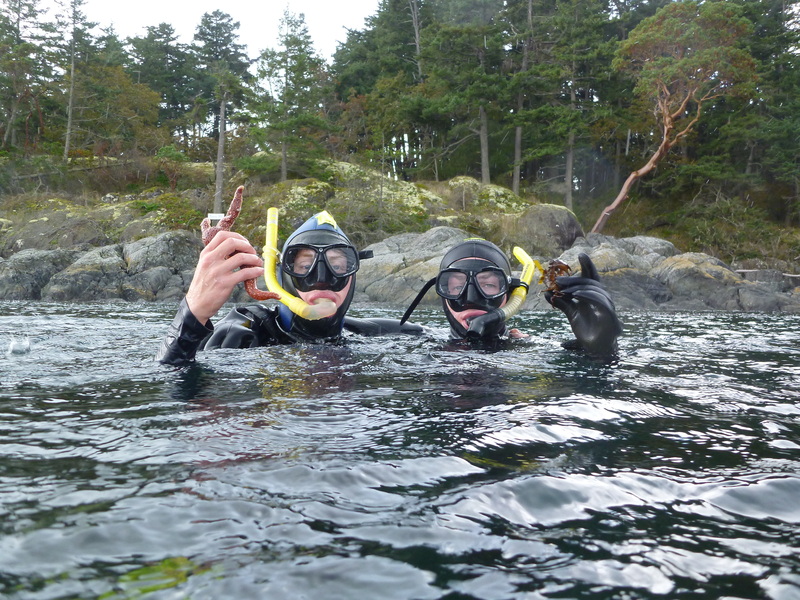 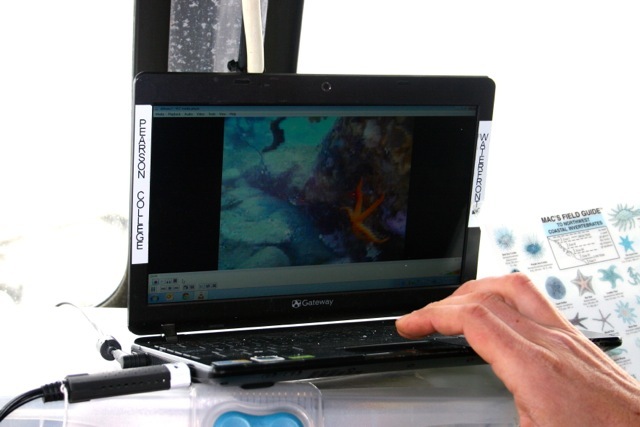 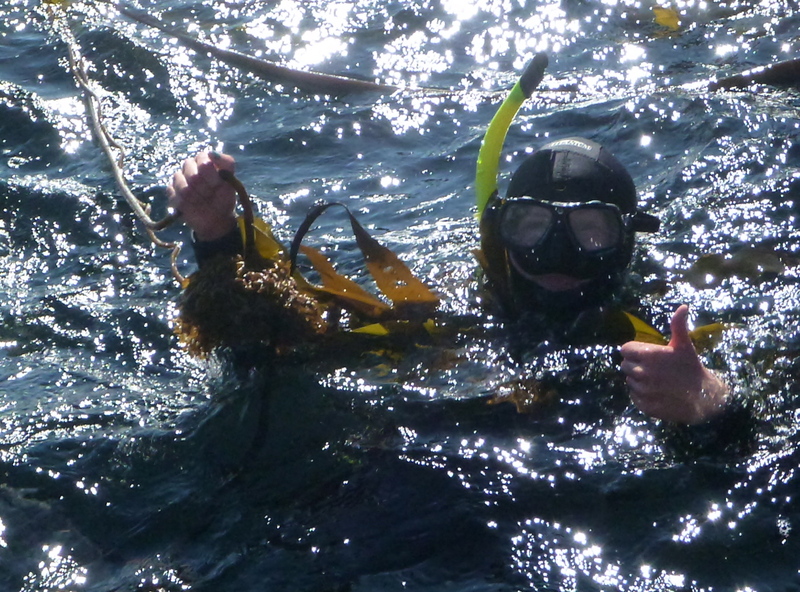 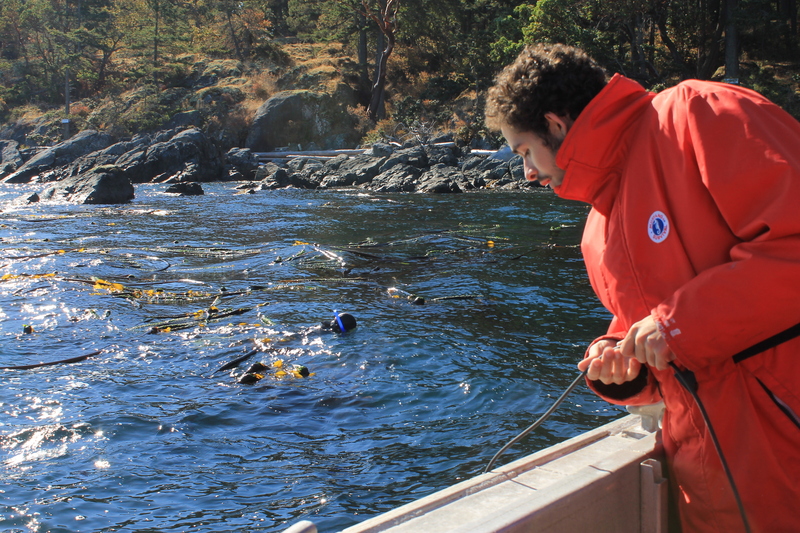 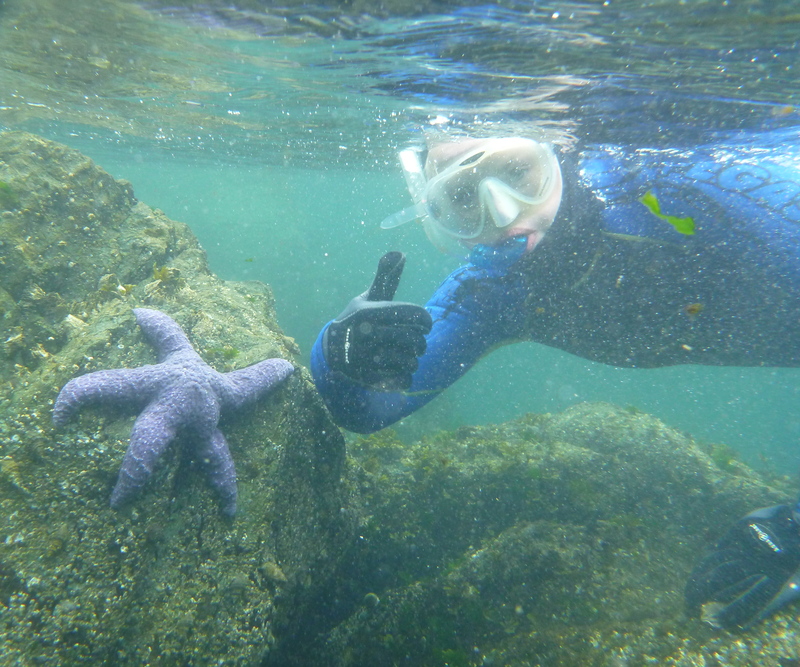 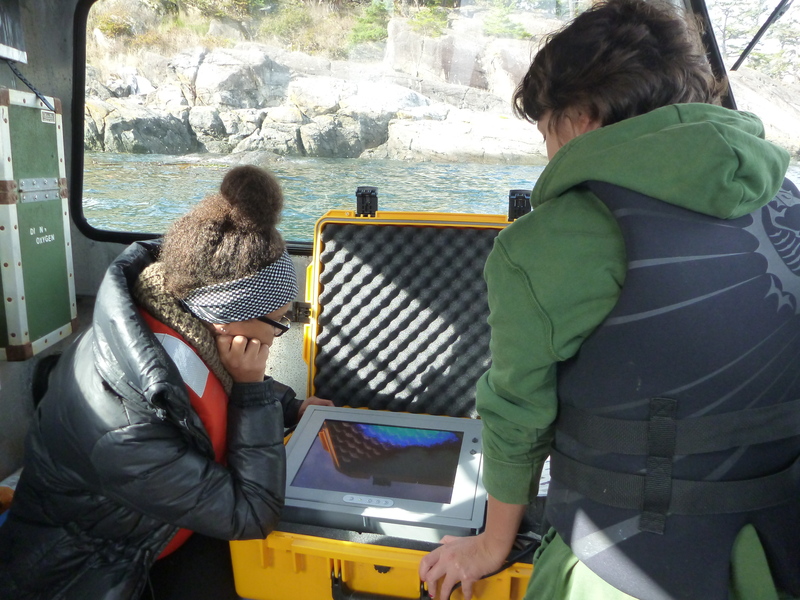 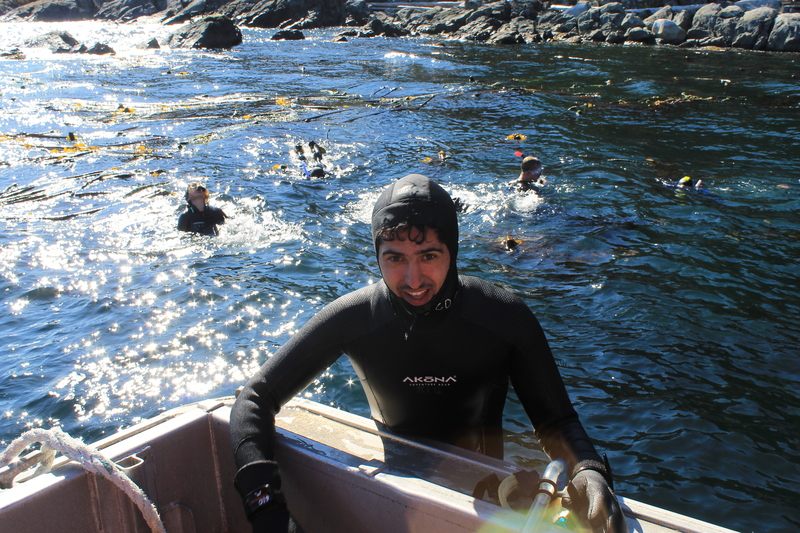 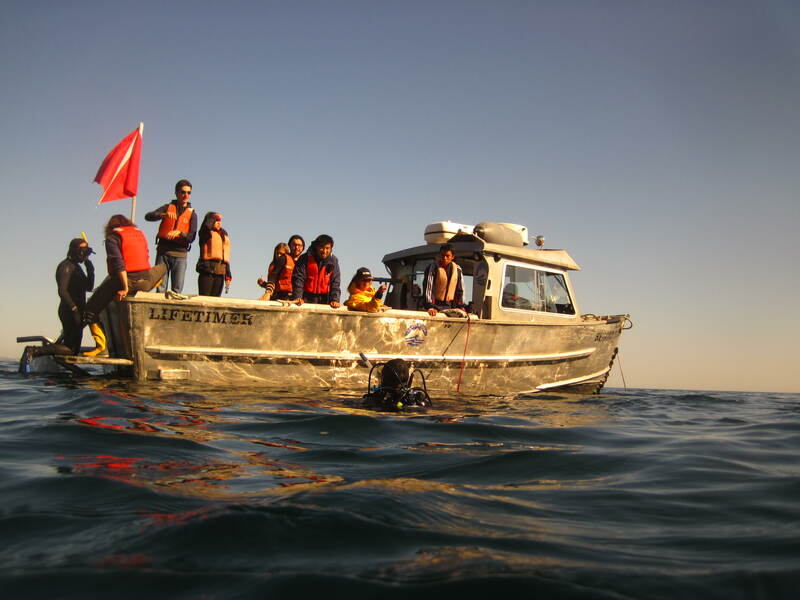 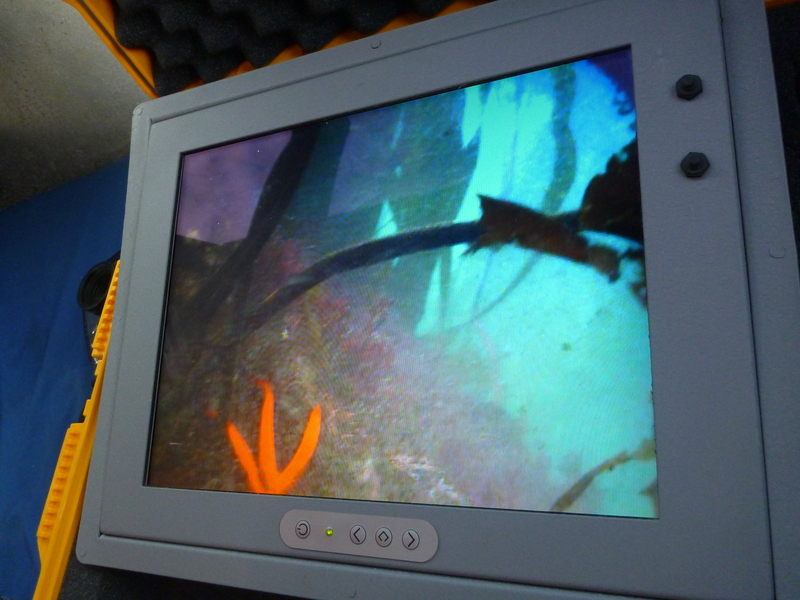 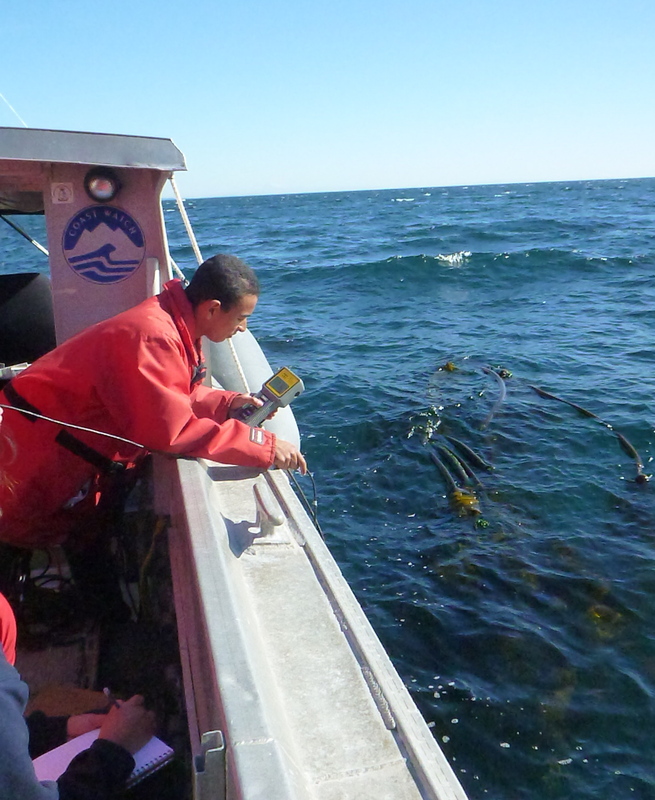 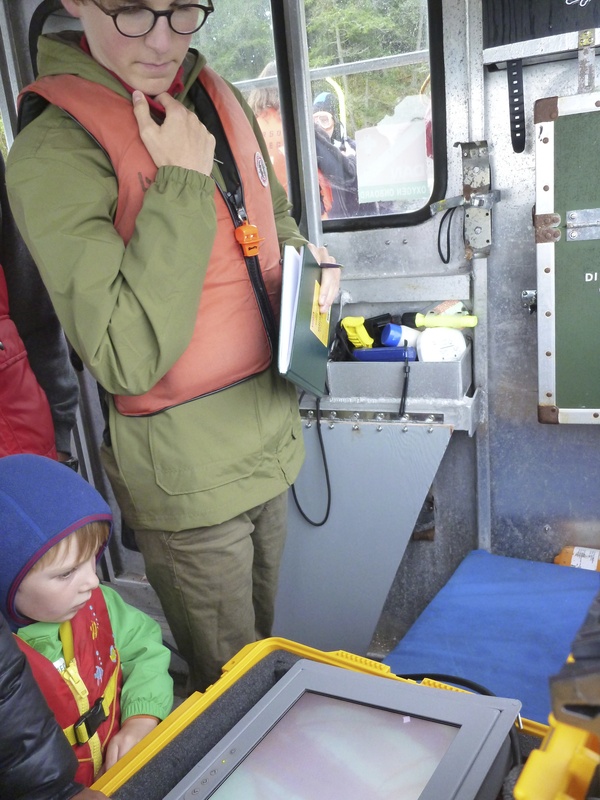 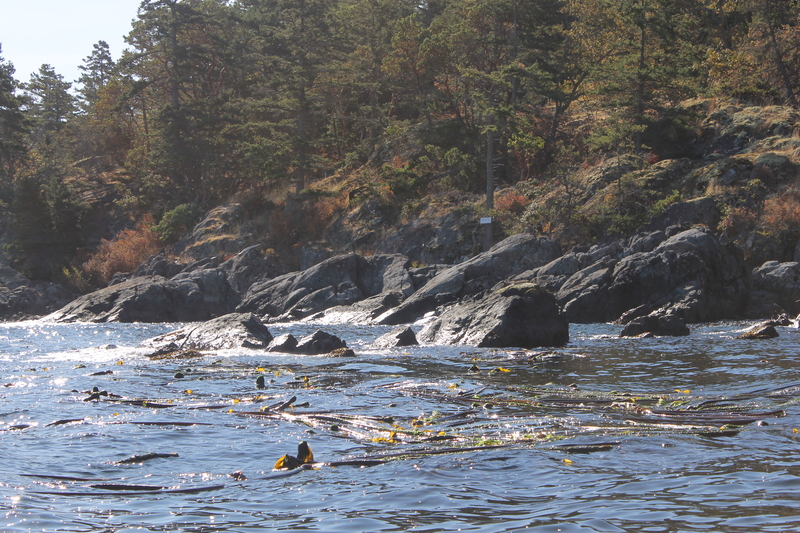 Marine scientists in A block traveled to Fossil Point on Friday 5 October to explore the kelp forest. 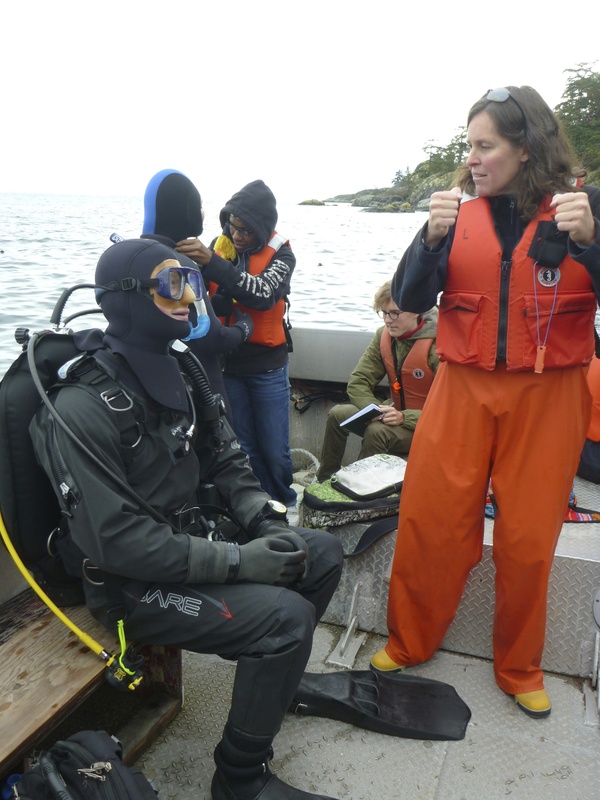 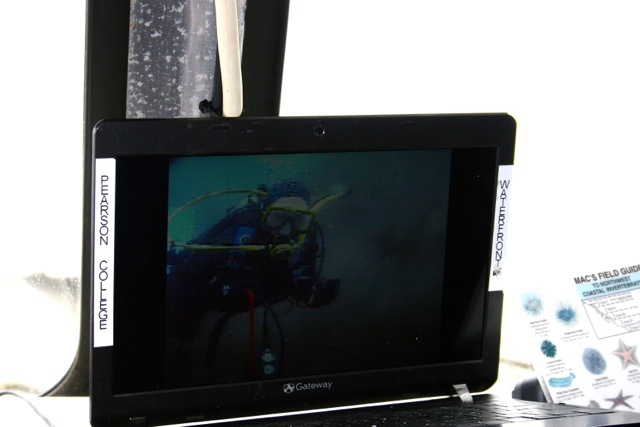 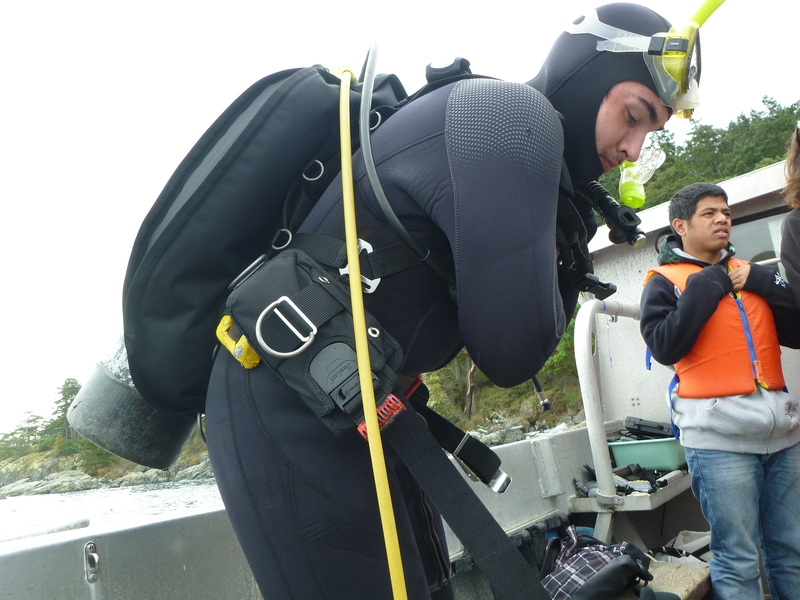 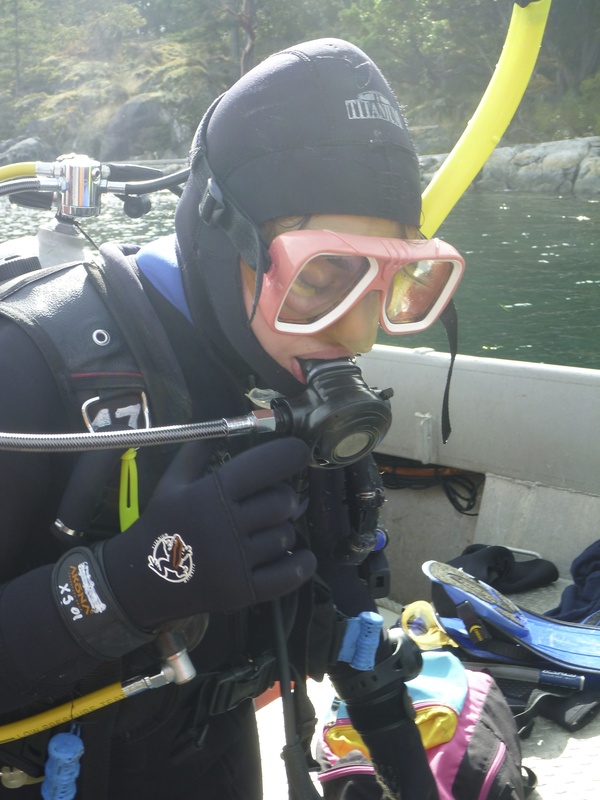 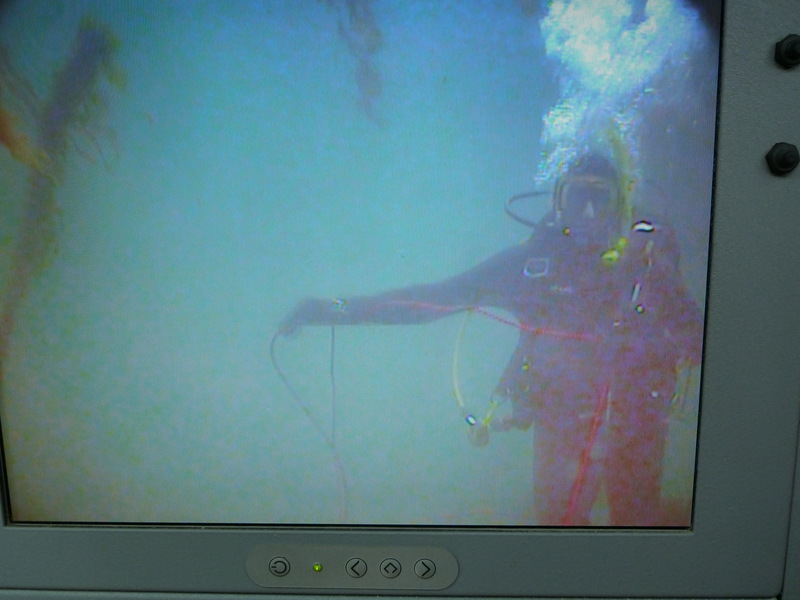 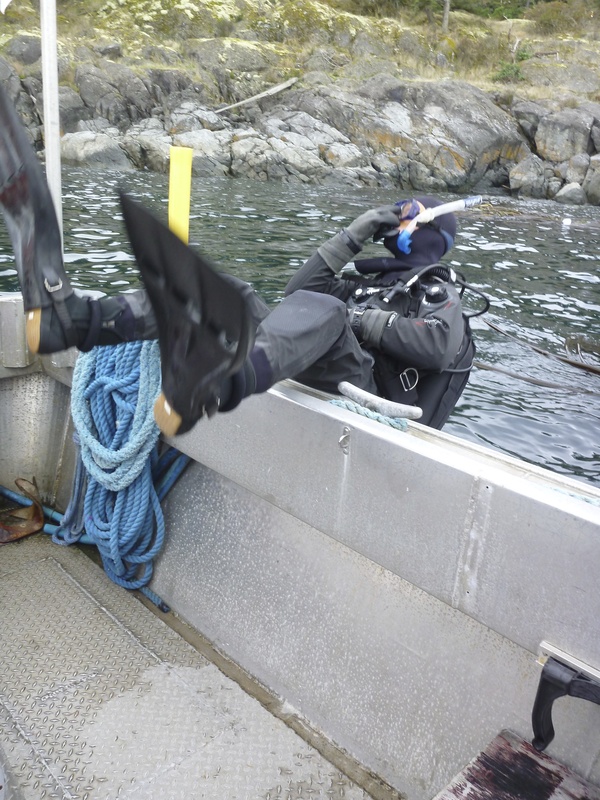 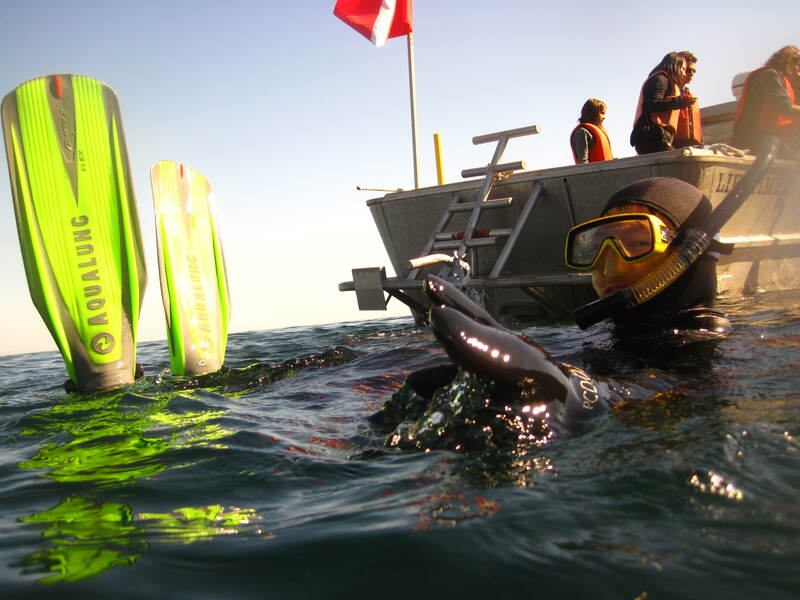 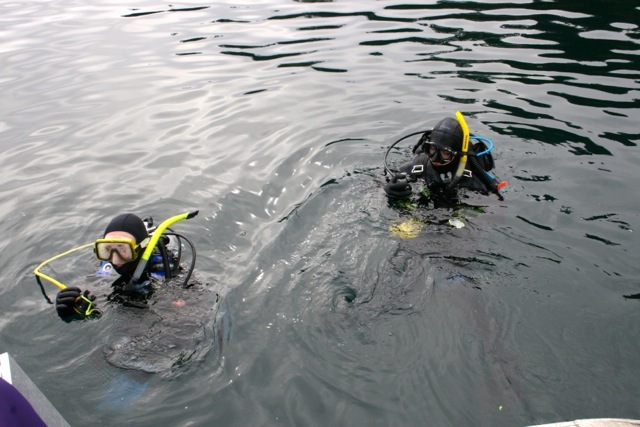 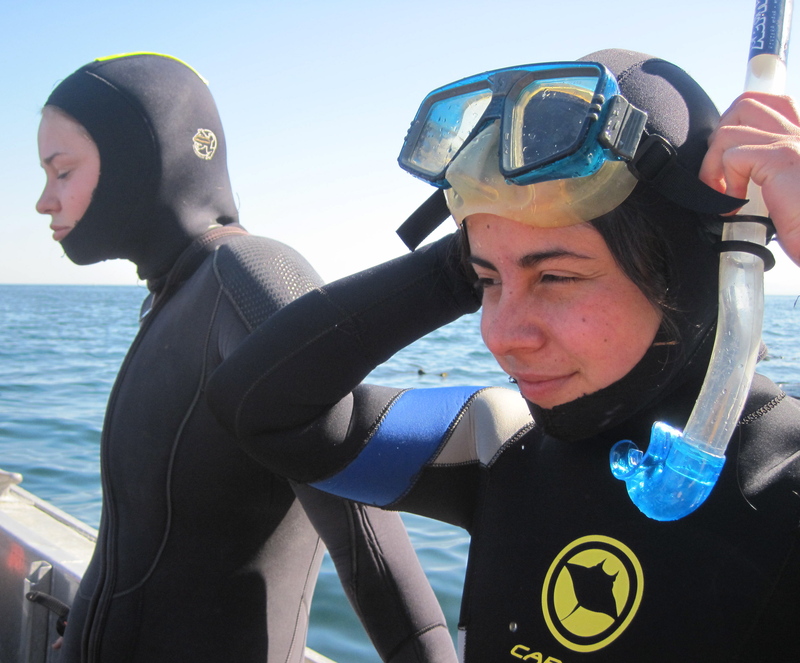 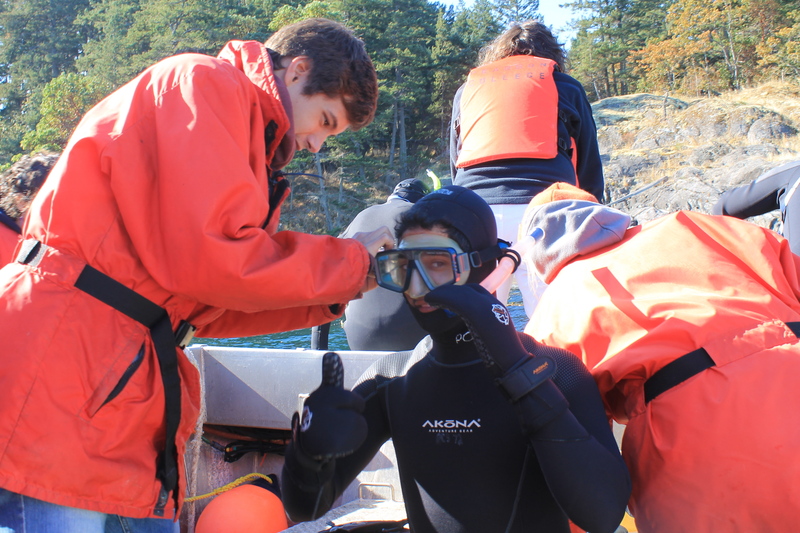 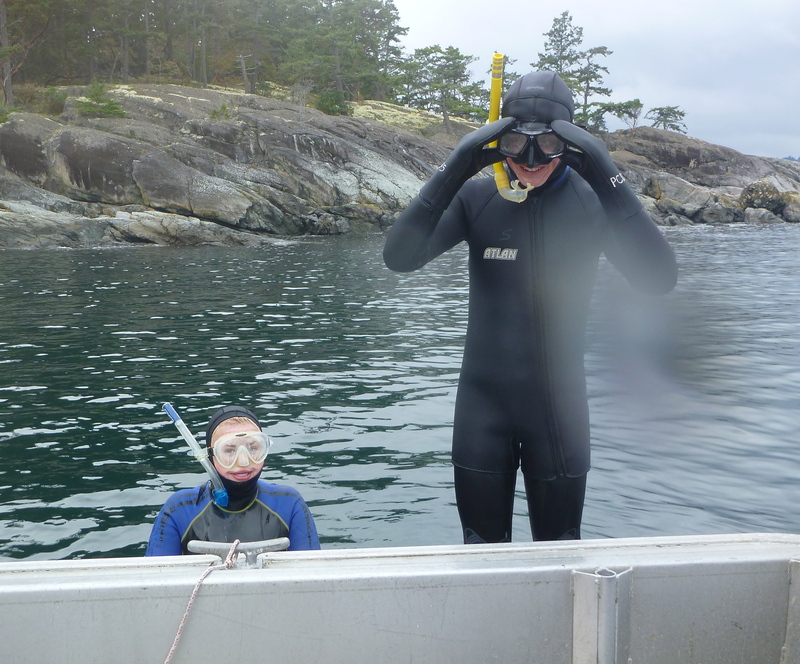 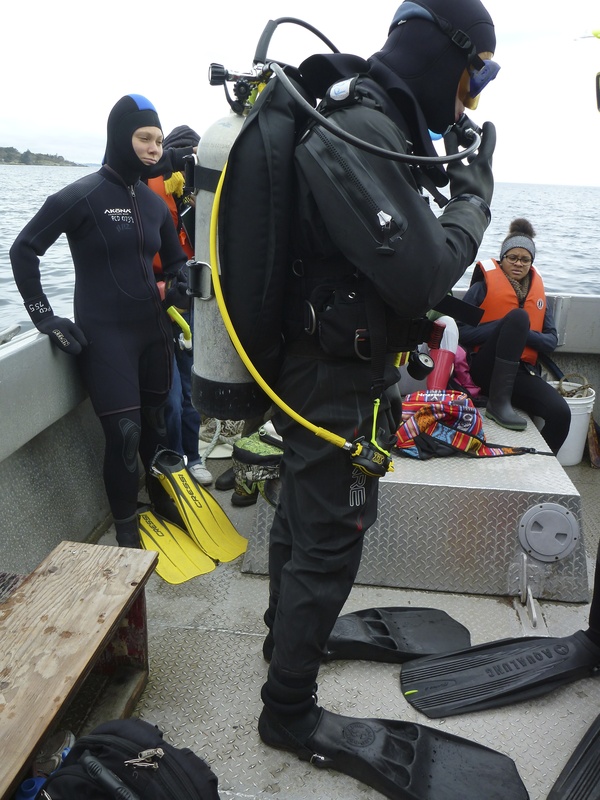 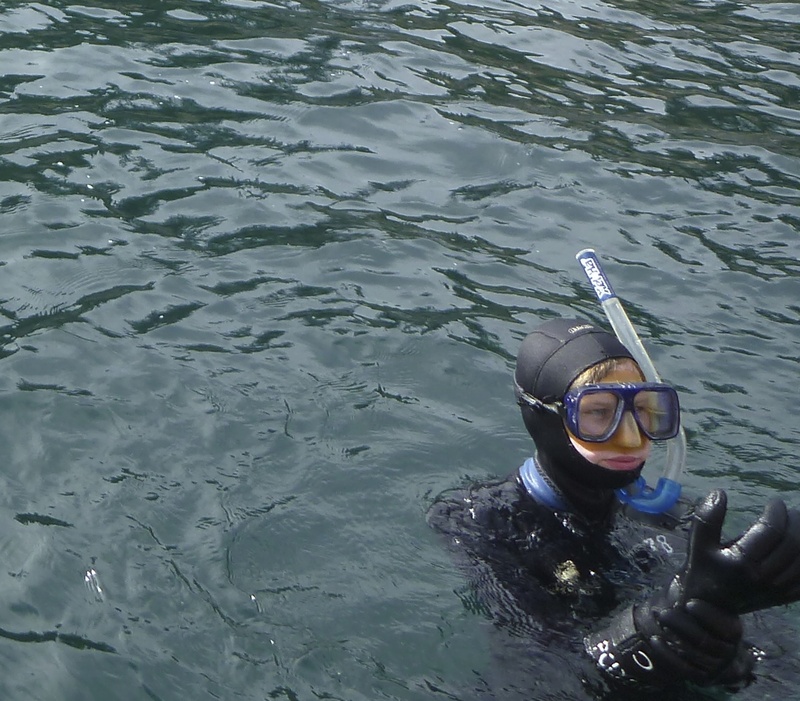 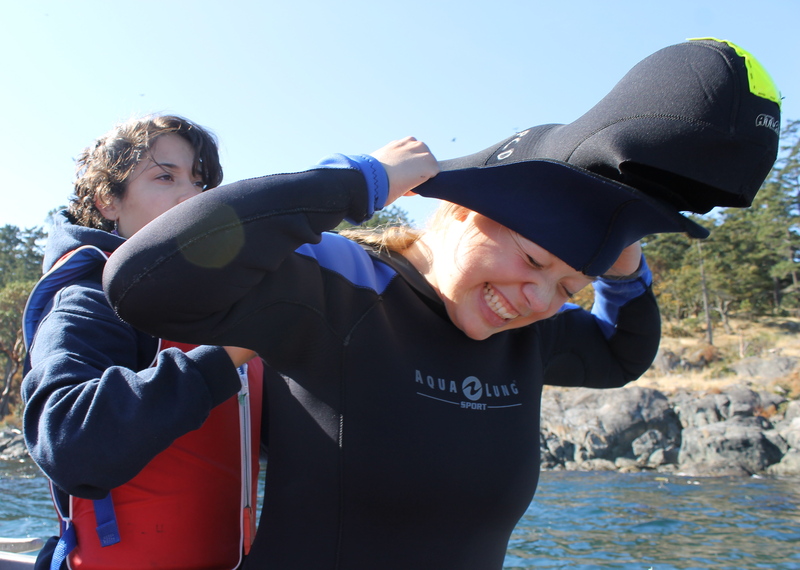 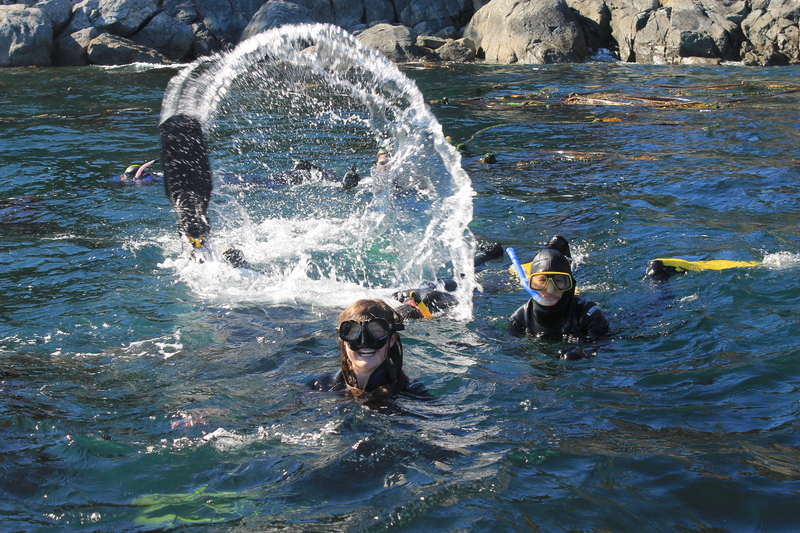 We arrived at Fossil Point and divers Gabbie & Laas got suited up and into the water. 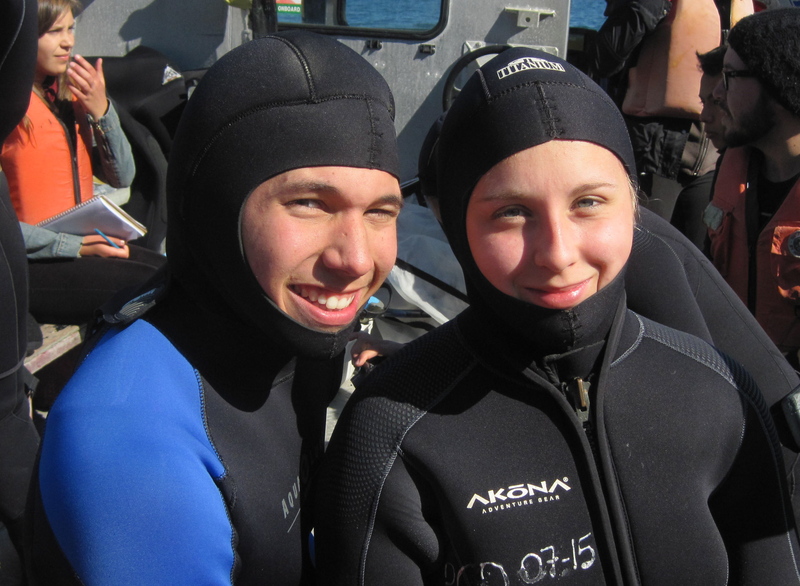 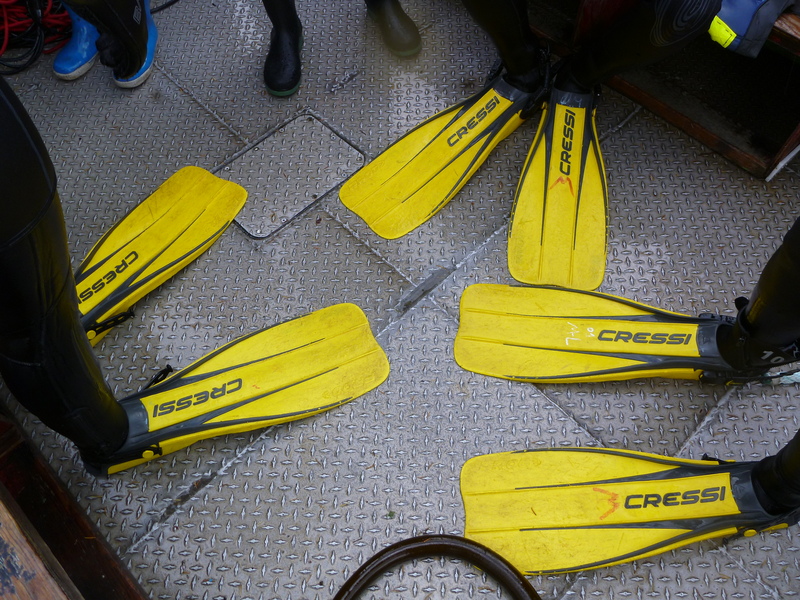 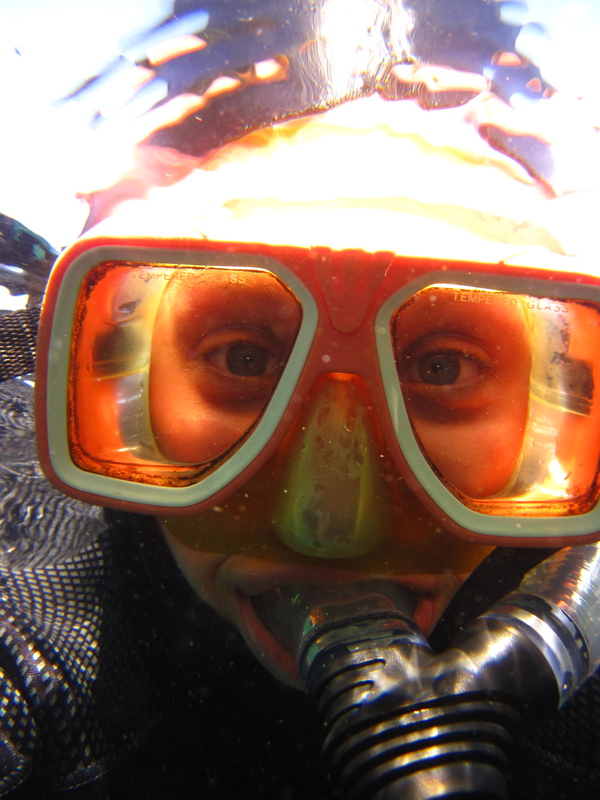 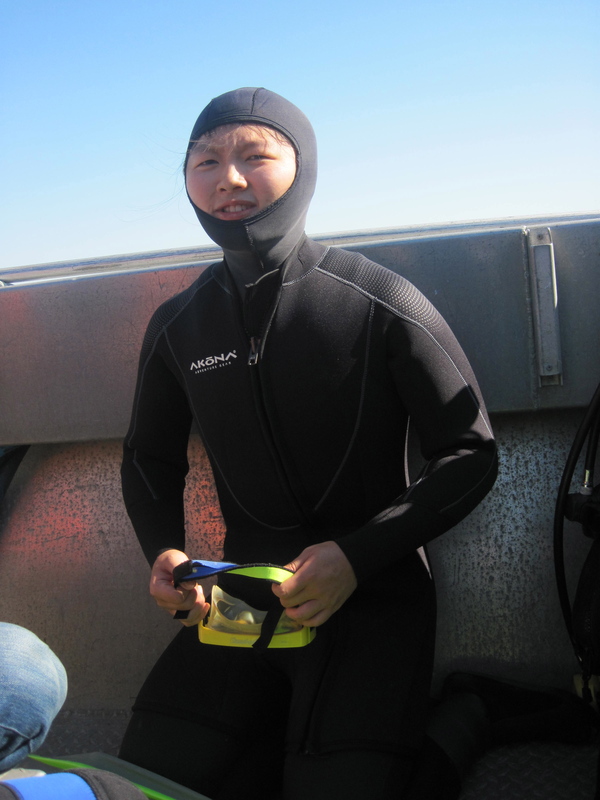 While Gabbie & Laas were diving, five snorkelers got suited up and into the water. 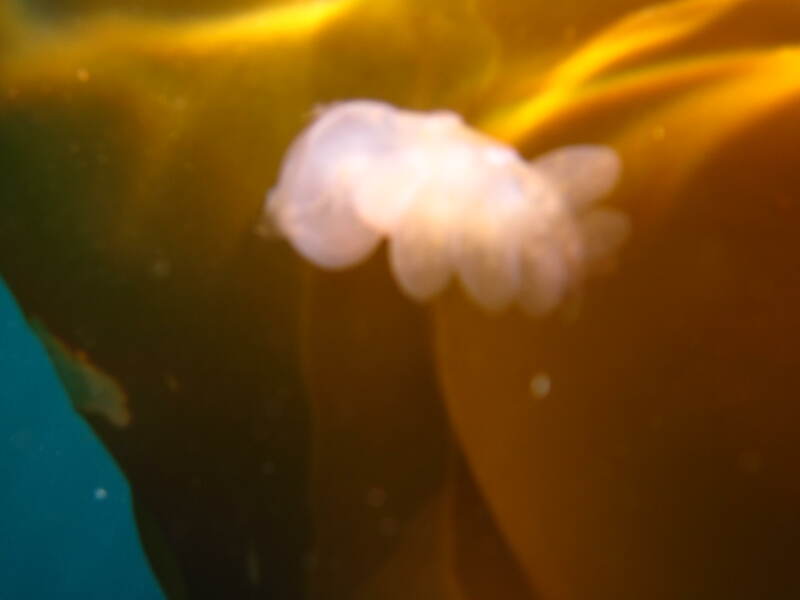 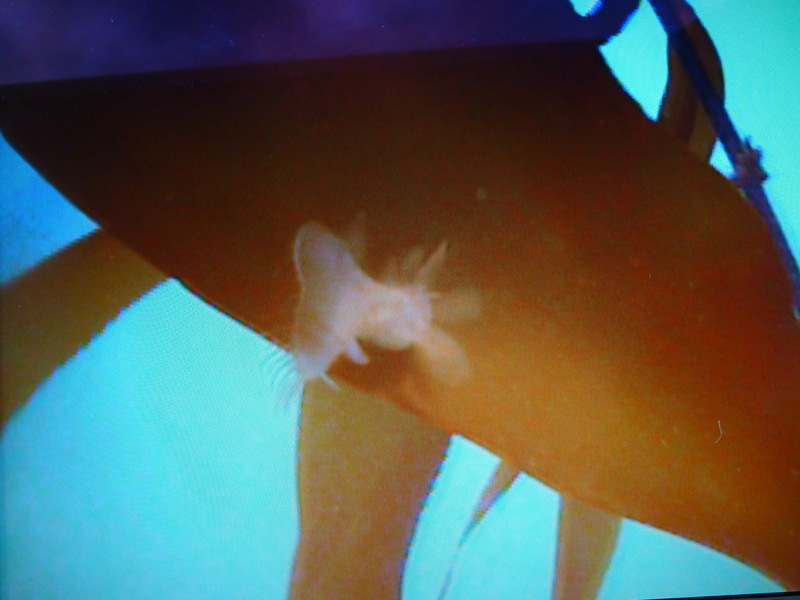 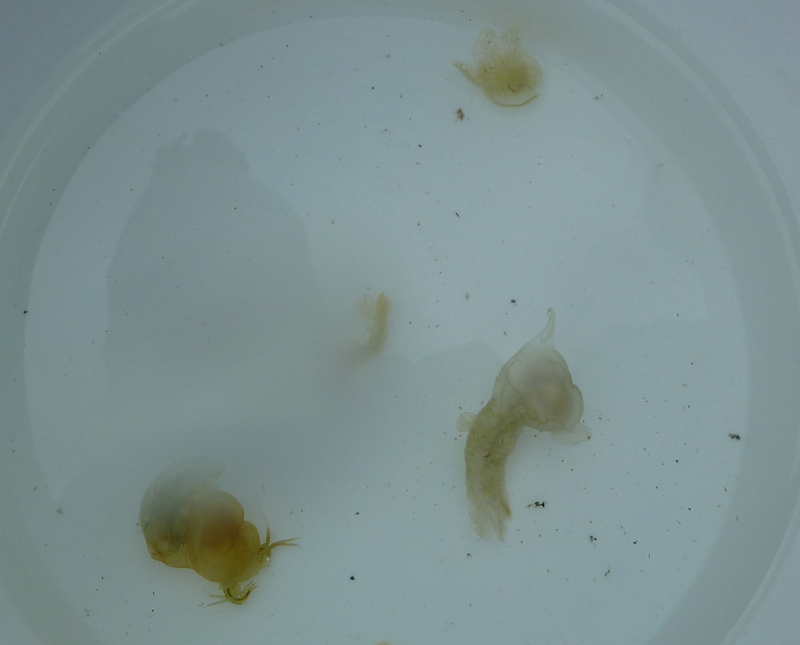 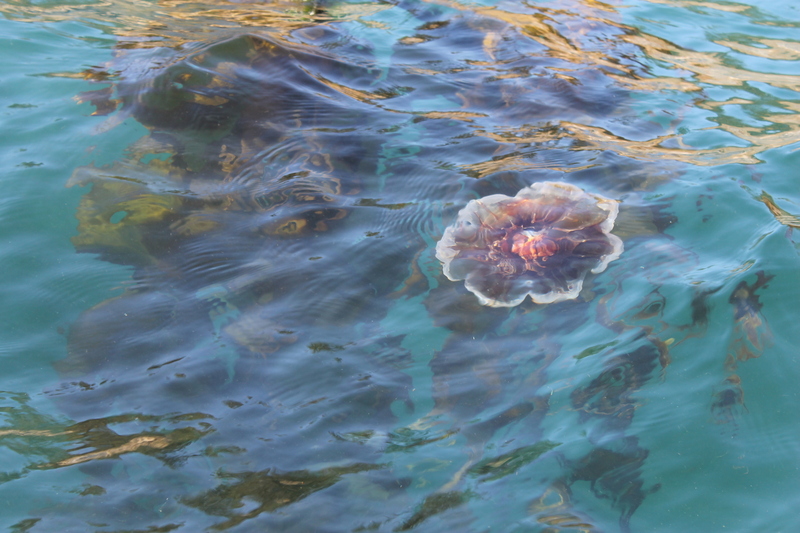 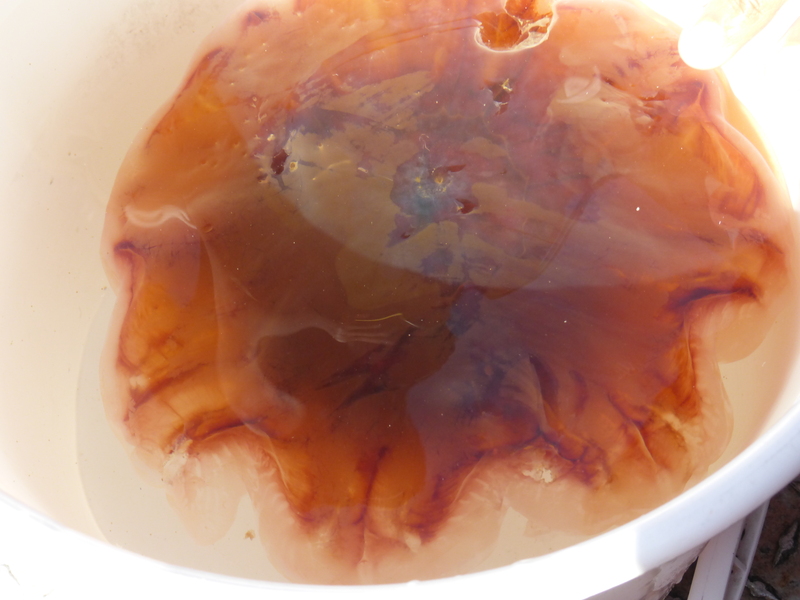 Ela found a lion’s mane or hooded nudibranch (Melibe leonina) which we brought back to the Marine Science lab and it has recently laid eggs in a container in our seawater table. 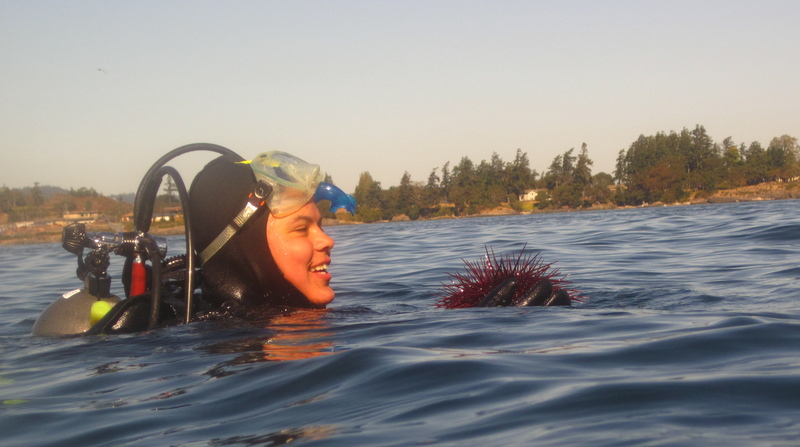 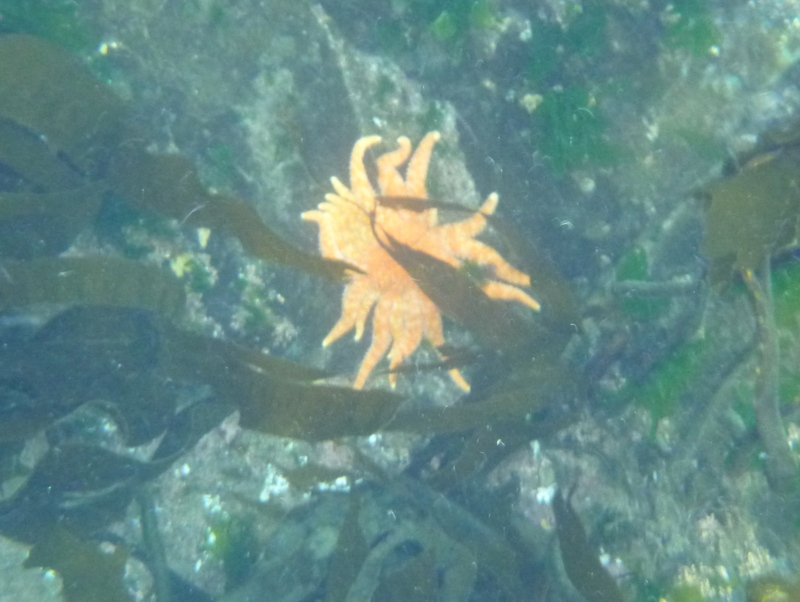 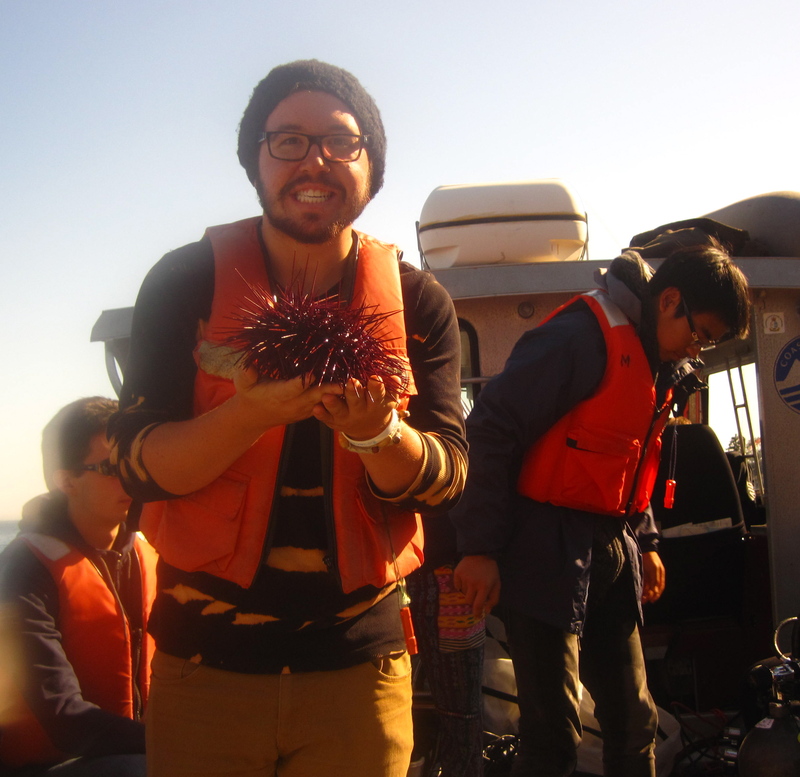 And Laas surfaced with a giant Red sea urchin (Strongylocentrotus franciscanus). 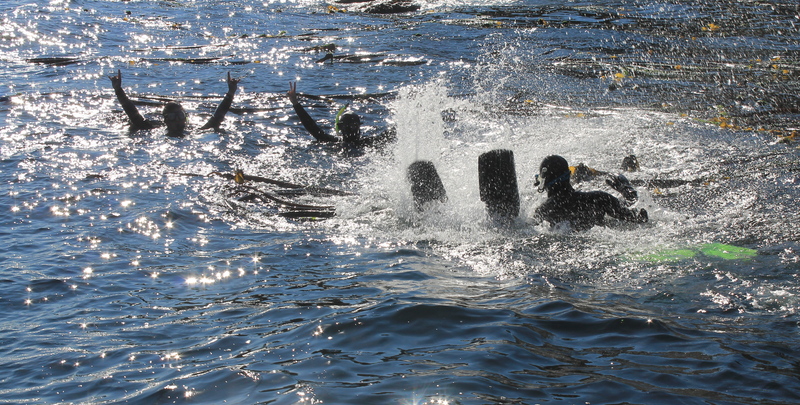 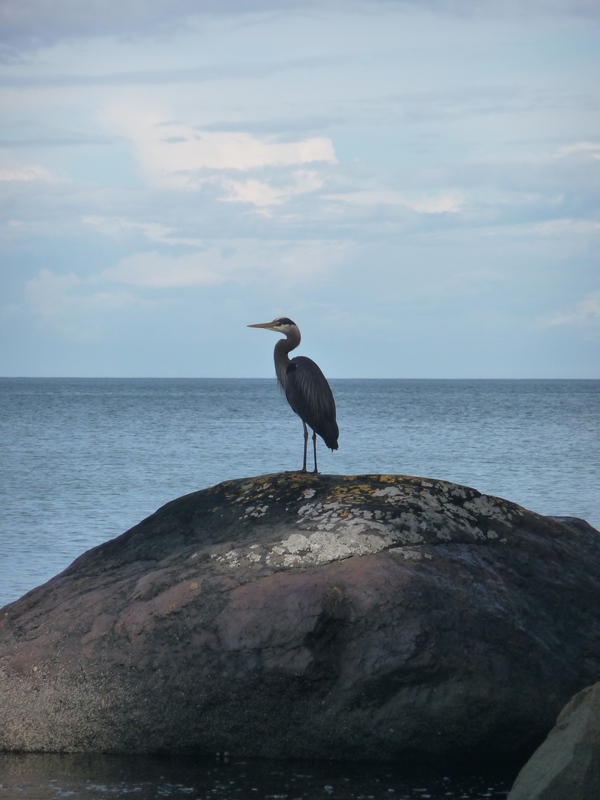 Every day should be a day to celebrate and appreciate the ocean, but the 8th of June has officially been designated as World Oceans Day. 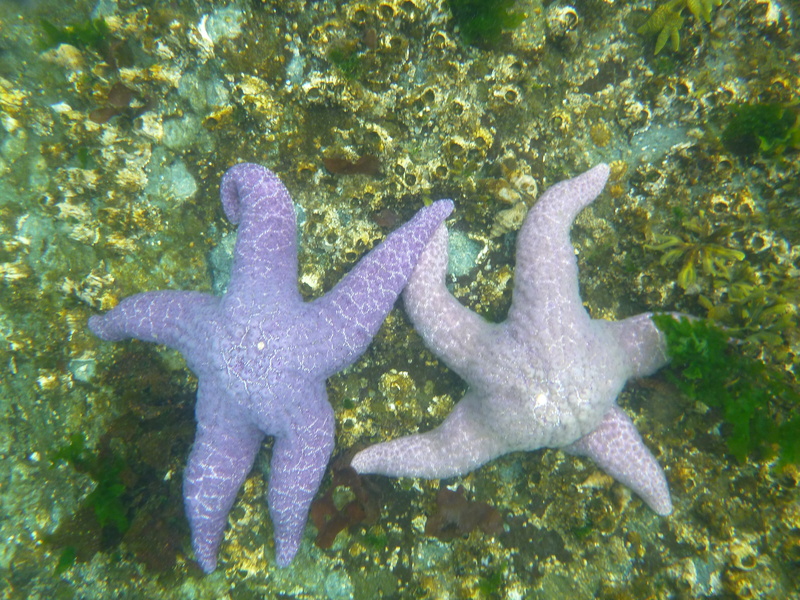 Sadly, there are no Pearson marine scientists here to celebrate today, so I have posted a few photos from this afternoon at Weir’s Beach. 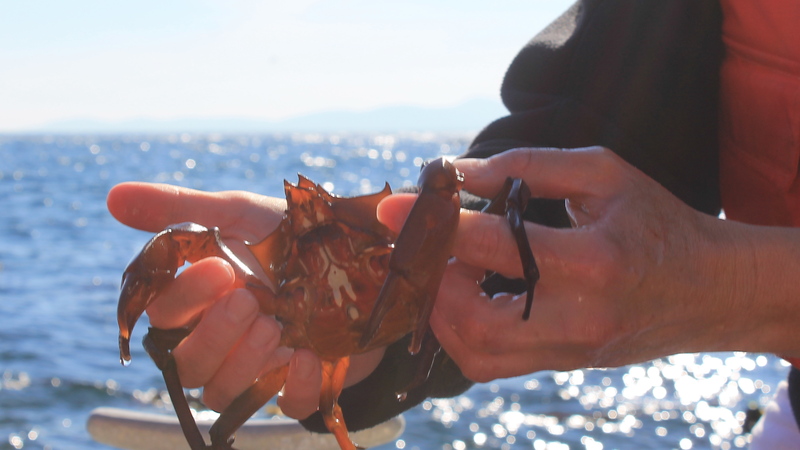 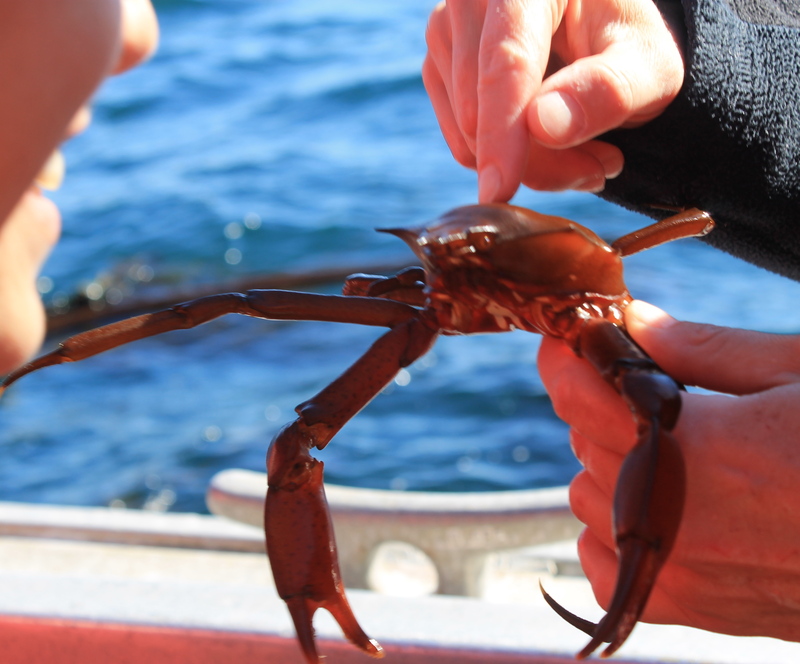 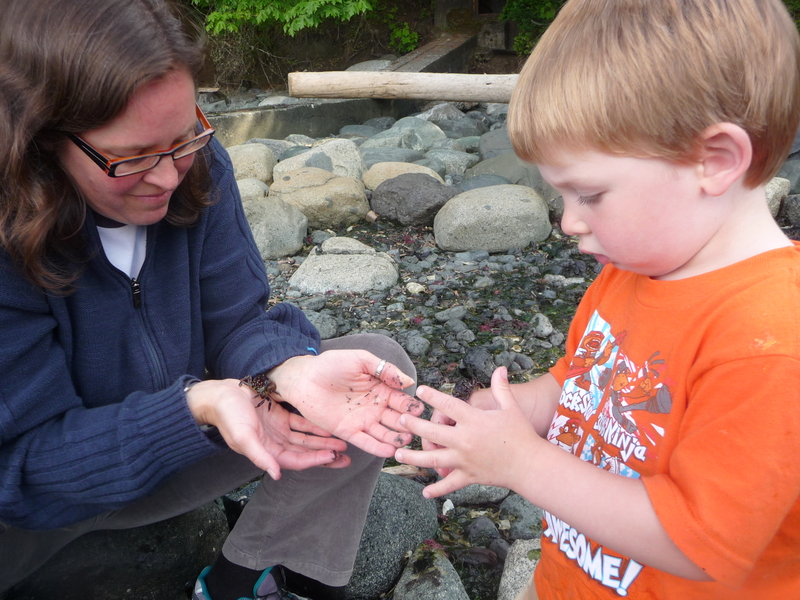 Laura & Simon collected and observed a few purple shore crabs. 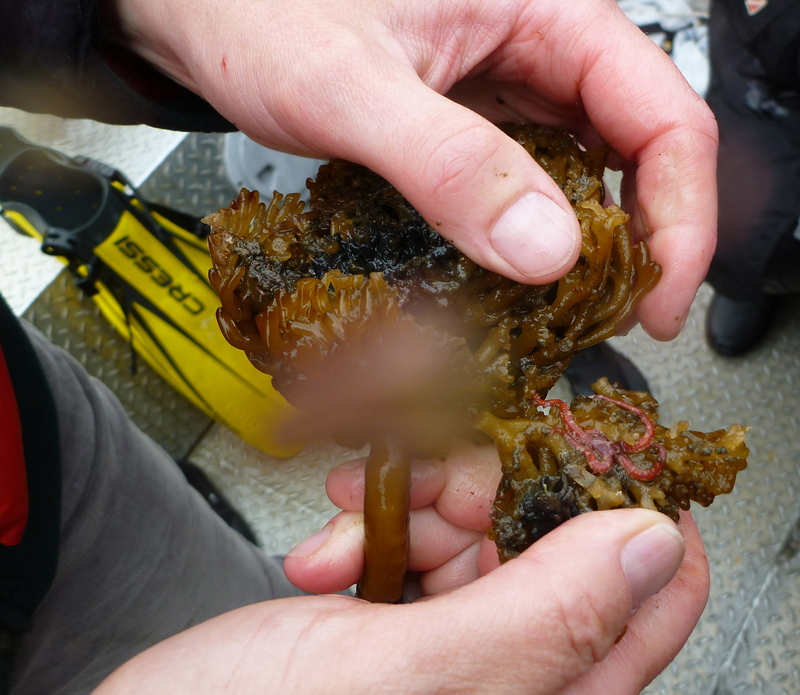 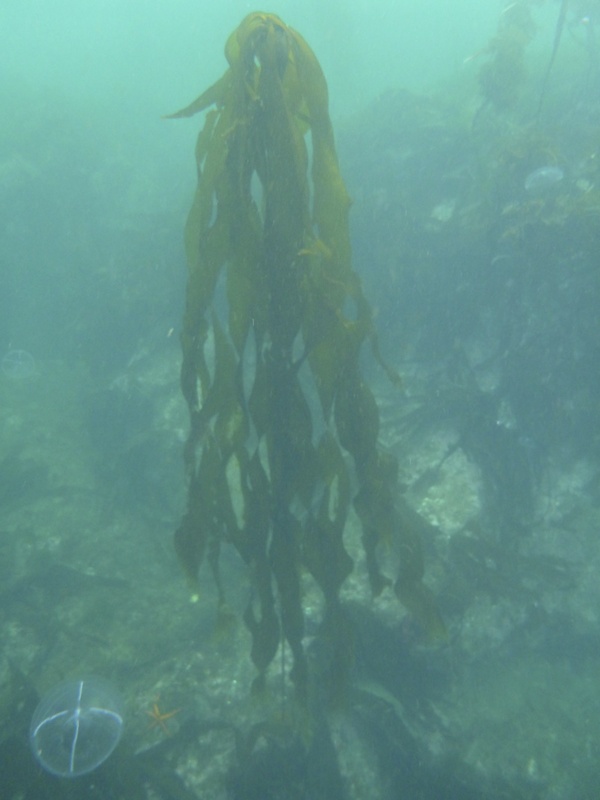 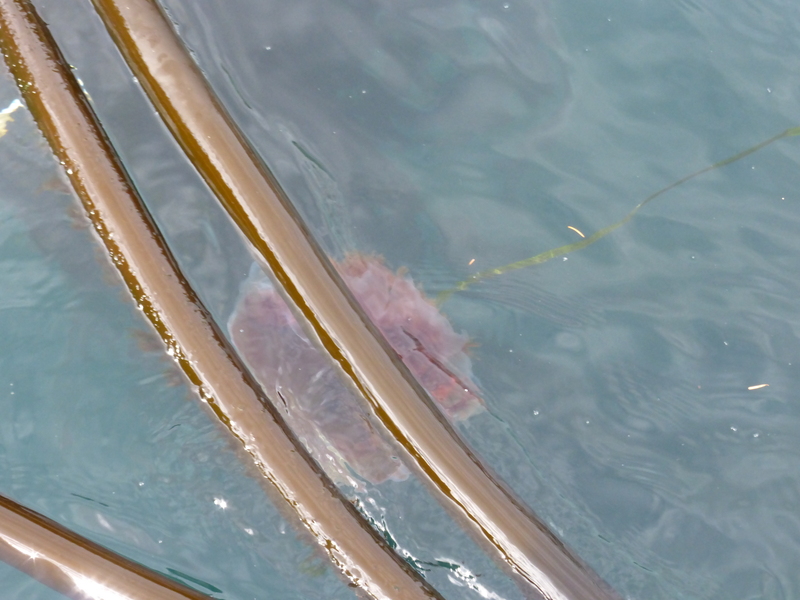 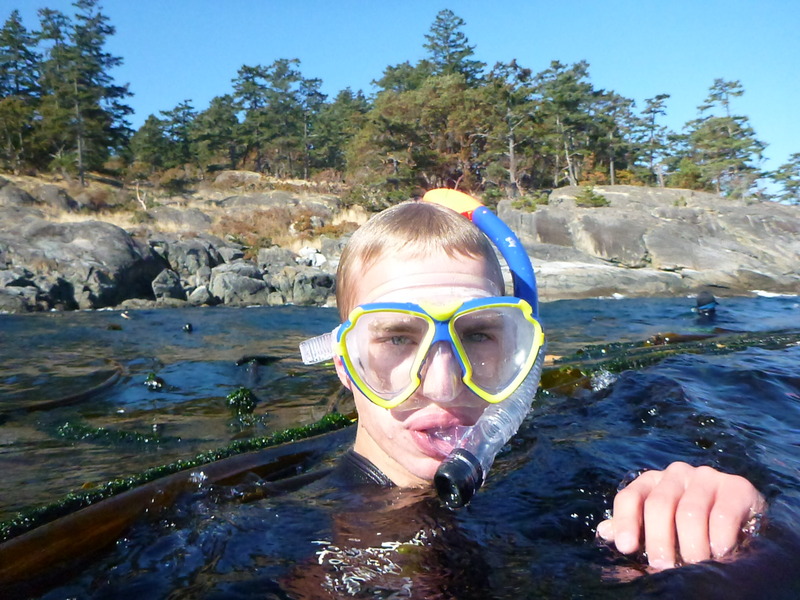 Simon found a young bull kelp in the drift algae. 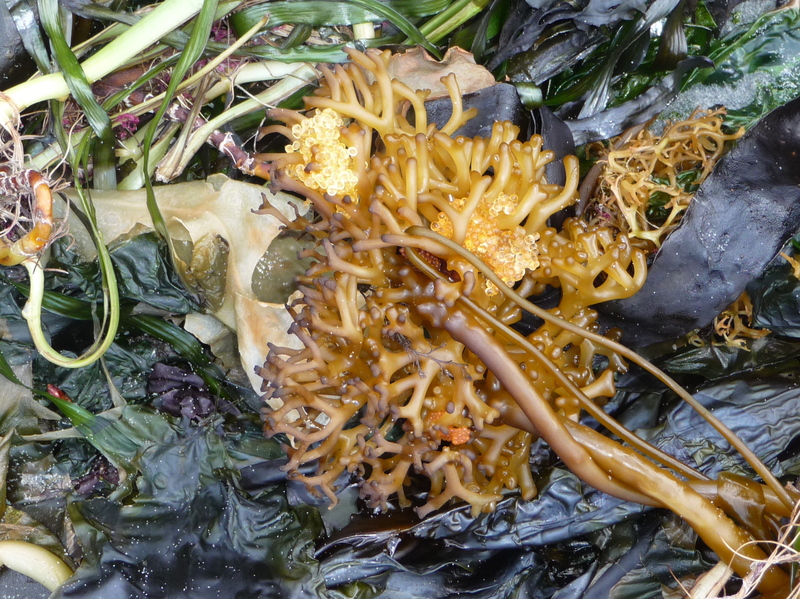 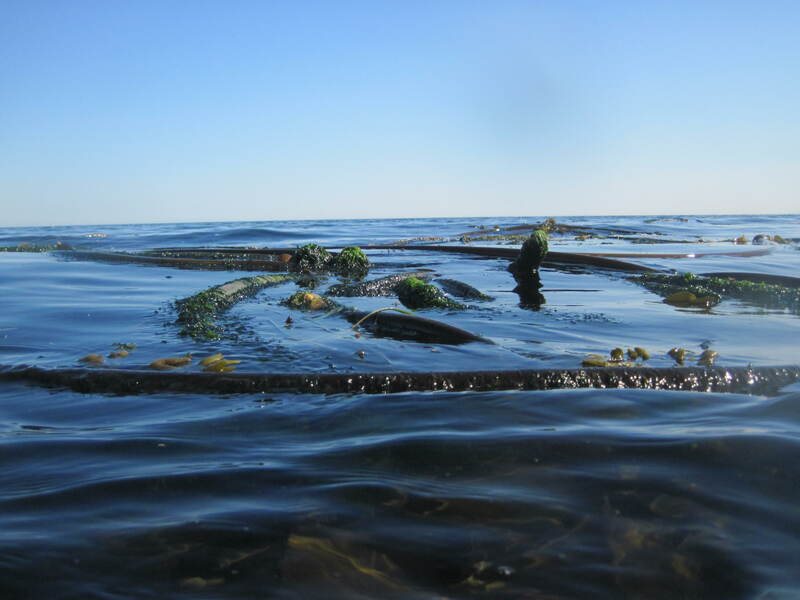 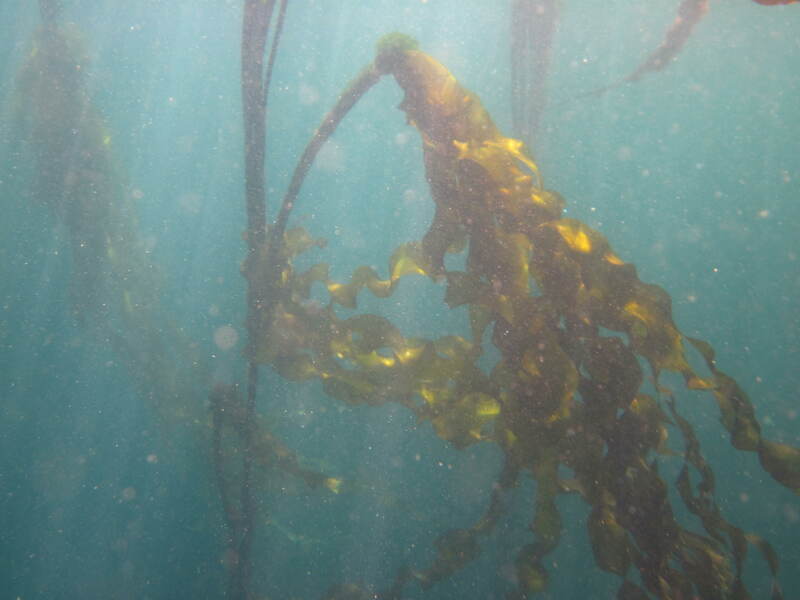 And we spotted two clusters of fish eggs in the holdfast of a bull kelp. 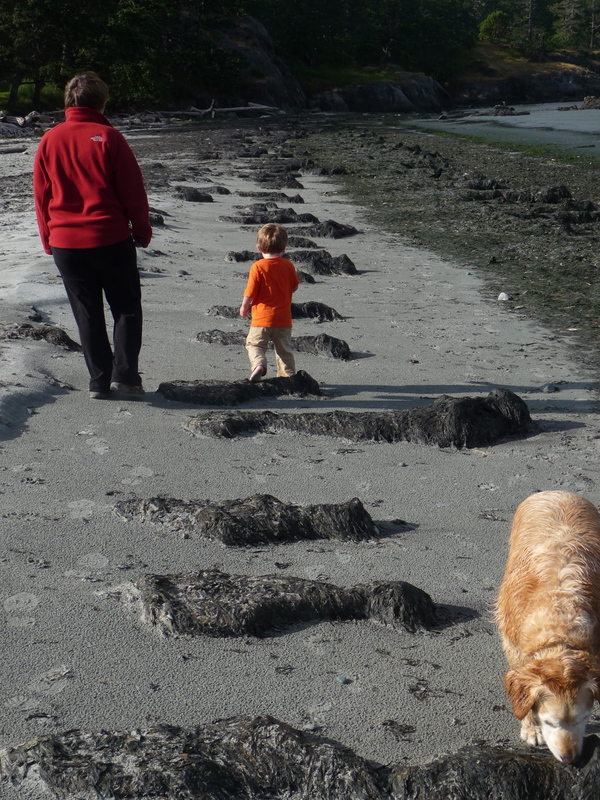 We investigated the piles of seaweed on the beach. 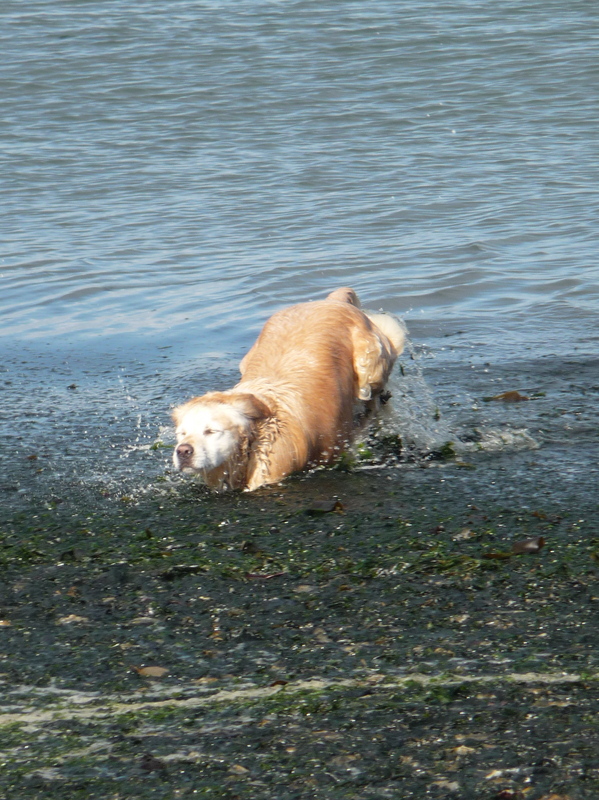 Tucker plowed through the still suspended drift seaweed.